St. Basil’s “Animal Prayers” are a “Hoax” (Part Four). To read the earlier portions of this work see Part One (here), Part Two (here) and Part Three (here). N.B. 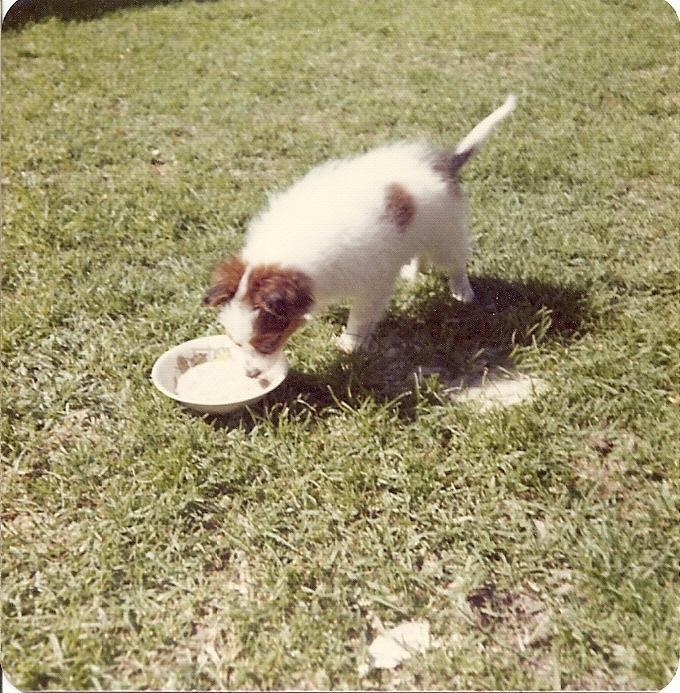 The following text in this blog-post St. Basil’s “Animal Prayers” are a “Hoax” Part Four is Copyright © 2012 Philip Johnson. The subject of this series of posts concerns the claim that two prayers called “Their Guileless Lives” and “Our Brothers the Animals” come from St. 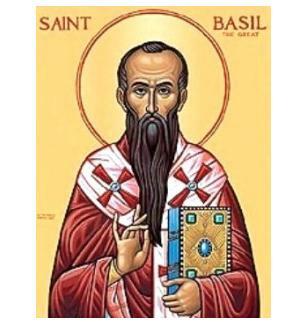 Basil the Great, the fourth century Eastern Orthodox church father. In particular, it is often claimed that one or both prayers come from the Liturgy of St. Basil (see English language translations of the Greek Orthodox version here and here and also here; the Slavonic-Russian version here; the Coptic Church Liturgy here; the Ethiopian Church Liturgy here). In the first post I reproduced both prayers as they appear in Richard Newman’s anthology Bless All Thy Creatures, Lord. I pointed out that after searching through the different versions — Greek, Russian and Coptic versions of the Liturgy of St. Basil that no such prayers exist. I also had a negative result in finding either prayer in St. Basil’s writings. I demonstrated in Parts Two and Three that many authors both academic and popular have failed to provide an unambiguous and direct citation from any of St. Basil’s works or from the Liturgy bearing his name. Instead a somewhat circular trail of foootnotes exists where authors cross-quote each other. 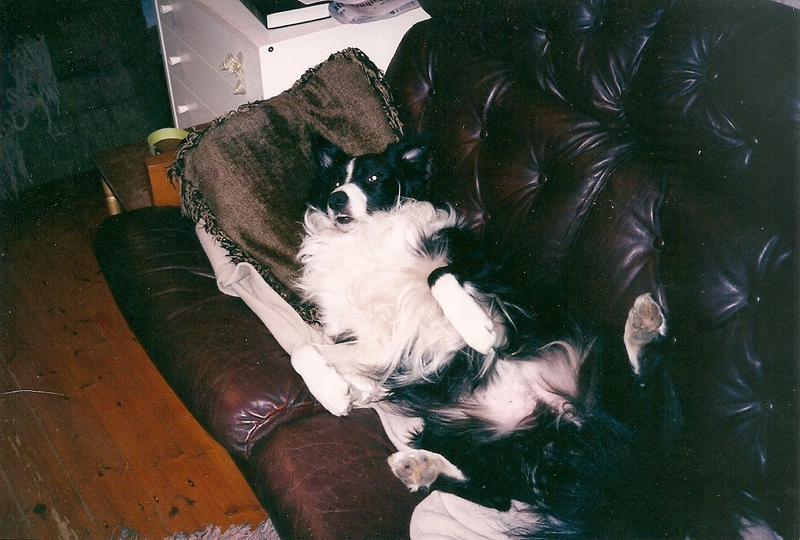 This rather dubious and very lazy habit reflects poor information-retrieval work. This habit of cross-quoting each other lends itself to the creation of a top-heavy literary house of cards when the original source is not what the writers have come to believe in. 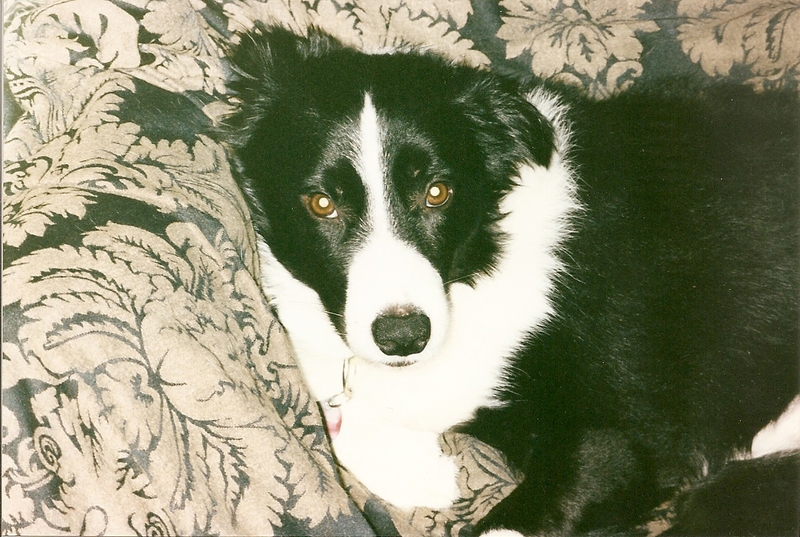 It marrs the quality and cogency of publications about animal ethics and theology. In the case of the two prayers I am examining this cross-quoting signals to me that perhaps very few have any idea when and where the prayers were originally composed. This is another long post that carries forward points made in the previous post. It is a demonstration of the weak evidence presented by various Christian authors in the Roman Catholic tradition. Mummy sunning herself on the window sill. Photo Copyright © 2012 Philip Johnson. 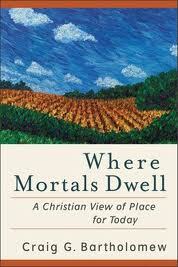 In the last post I began discussing various Christian authors within the Evangelical tradition. Now in this post the focus turns to Christian authors from the Roman Catholic Church. Once again, as stated in previous posts, I am not attacking any of the authors but underscoring two things: (a) the problem of not checking quotes, and (b) documenting the absence of any primary source evidence that the prayers come from St. Basil. Matthew Scully is a Roman Catholic lay-believer and is also a prominent behind-the-scenes figure in conservative politics in the United States of America. He served, for a while, as the speechwriter for President George W. Bush, and had a brief association as a speechwriter with the 2008 Republican Vice-Presidential candidate Sarah Palin. 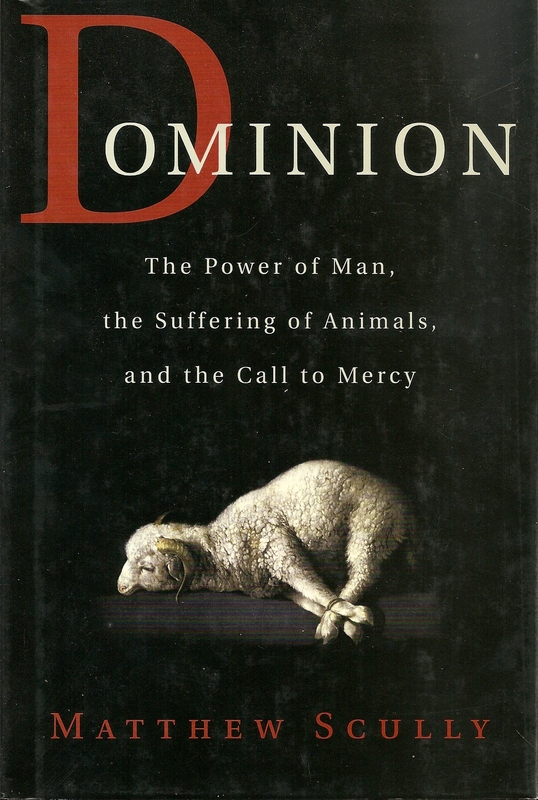 Scully’s book Dominion: The Power of Man, the Suffering of Animals, and the Call to Mercy (New York: St. Martin’s Press, 2002), is a very readable work by a Roman Catholic layman who expresses a deep and genuine concern about animal suffering. His book is well-worth reading. 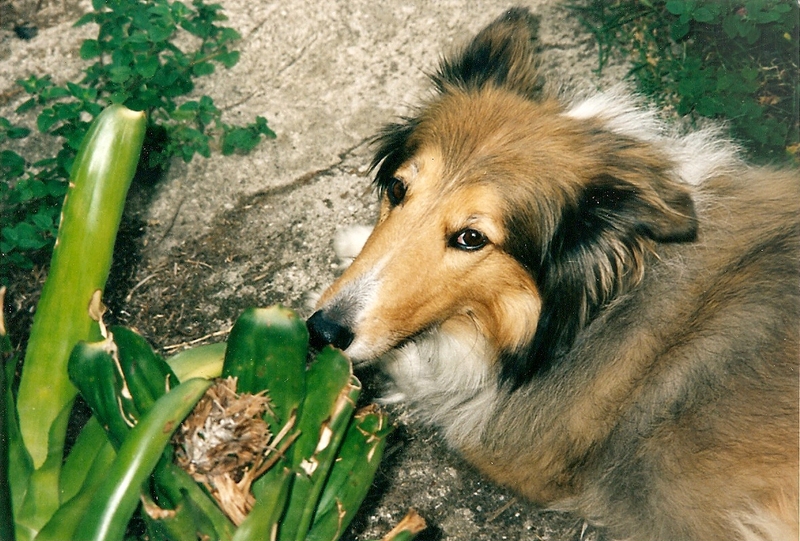 Scully’s ethical stance on vegetarian diet and the treatment of animals puts him at odds with people who might otherwise have affinities with his political values. His ethic runs counter to those who support industrial farming, the allied meat and poultry industries, and the hunting-gun lobbies. I was amazed to come upon this prayer from Saint Basil, the bishop of Caesarea, circa A.D. 375. Scully then quotes “Our Brothers the Animals”, although his version lacks the opening line from Psalm 24:1 (as in Newman’s version), and lacks the last thirty-eight words found in Newman’s version. Scully jots down in his footnote that the prayer is found in volume 8 of The Nicene and Post-Nicene Fathers. 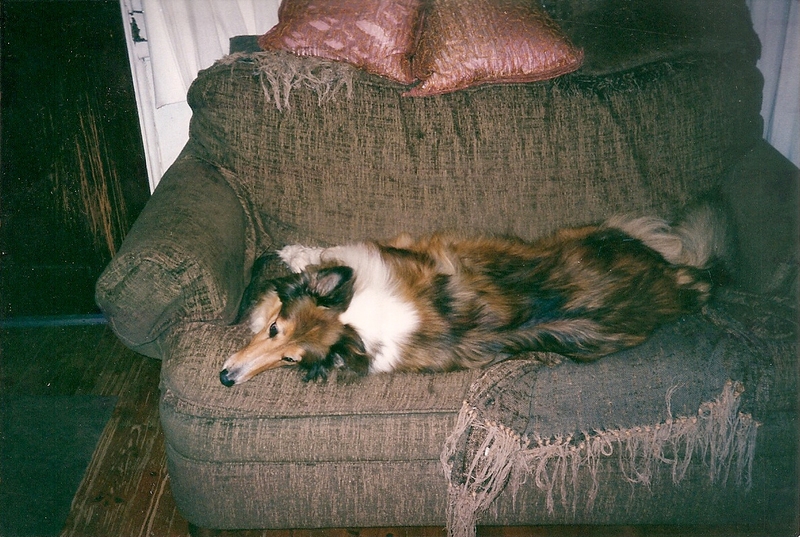 What might go unnoticed by some readers is that Scully does not give any page reference for Basil’s collected writings in The Nicene and Post-Nicene Fathers. As I pointed out in Part One of this post, neither “Their Guileless Lives” or “Our Brothers the Animals” can be found in The Nicene and Post-Nicene Fathers. 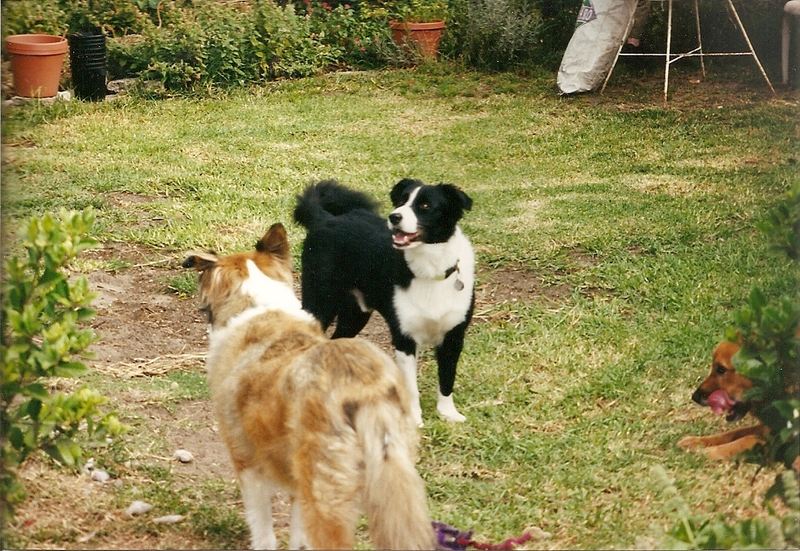 Nelson barks at neighbour’s flock of homing-pigeons in full flight. Photo Copyright © 2012 Philip Johnson. Scully’s footnote conveys to me at least two impressions (but I am also being mindful of the point: who can tell if he intended to make these impressions?). The first impression is that the footnote might have been hurriedly inserted because Scully had mislaid or forgotten where he had originally read the prayer. So we have a documented source made “on the run” as he was out of time in the publishing schedule to find the true source. The absence of a specific page reference is interesting. It might deflect a reader’s attention to detail so that Scully’s footnote is accepted at face-value. 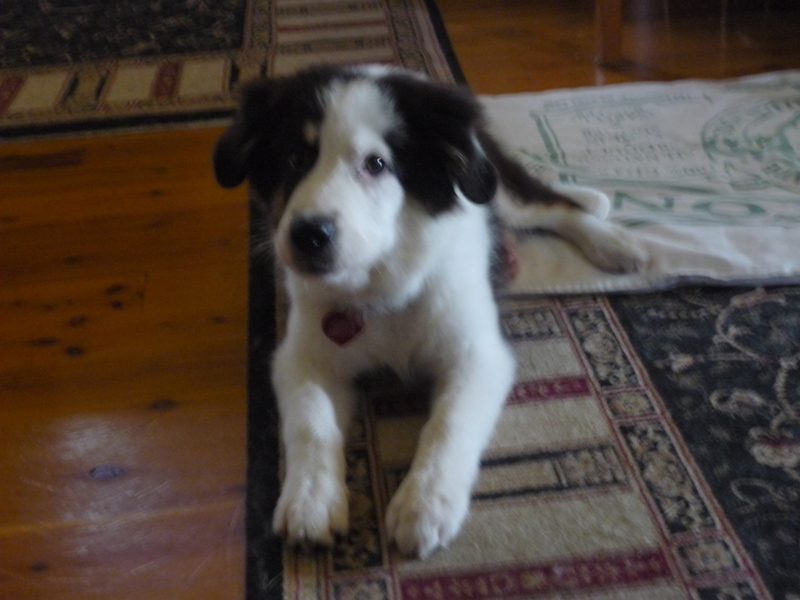 However, when one checks volume 8 in The Nicene and Post-Nicene Fathers it is very hard to avoid the conclusion that Scully has not read St. Basil’s works that are collected in that volume. One might infer then that Scully does not really know where the prayer comes from. The second impression, which could equally apply to several other authors previously mentioned, is that this is a bibliographic equivalent of the children’s tale “The Emperor’s New Clothes”. The majority of writers realise that the Emperor is naked (i.e. the prayer is not really from St. Basil) but nobody is willing to openly admit that he is naked (i.e. we know deep down there is no early church source but because we love the prayer and want to maintain a cherished view about early Christians expressing concern for sentient animal life that we don’t want to have to openly admit that the prayer isn’t found in the Liturgy of St. 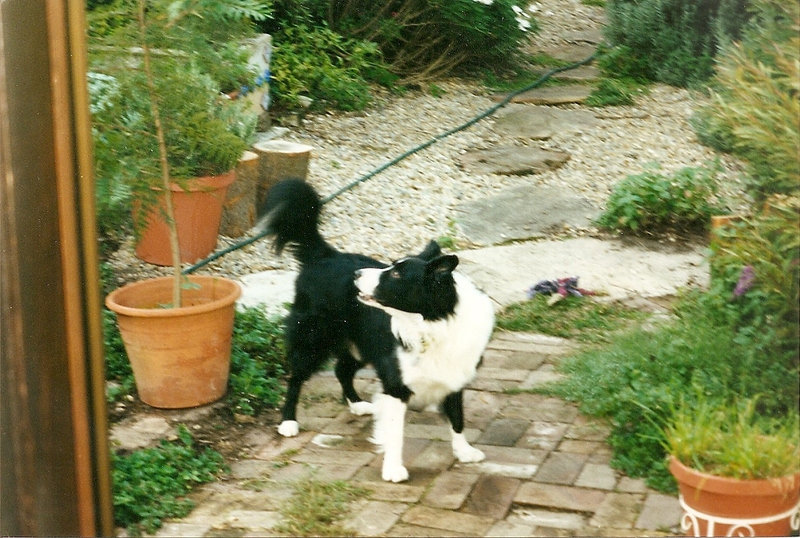 Basil). 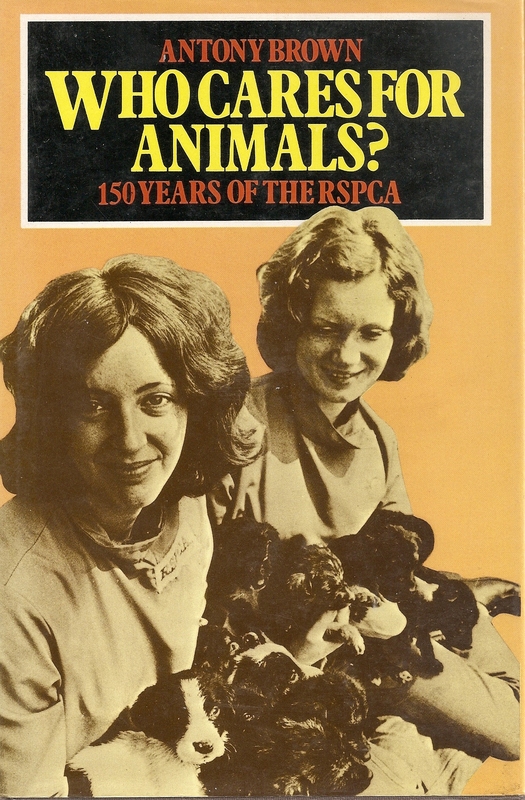 Deborah Jones is the general secretary of the Catholic Concern for Animals. 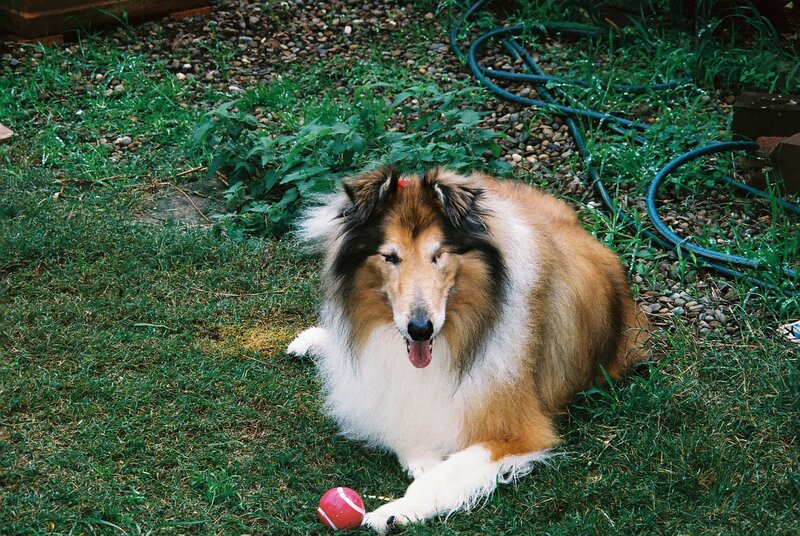 She holds a doctoral degree in theology for her dissertation on developing a Roman Catholic theology for animals. 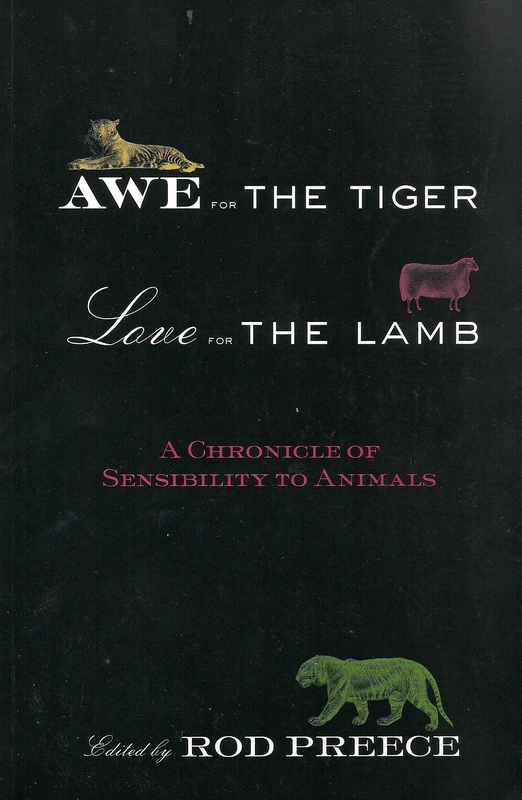 In 2009 her book that is based on her doctoral work was published as The School of Compassion: A Roman Catholic Theology of Animals (Leominster, Herefordshire: Gracewing, 2009). 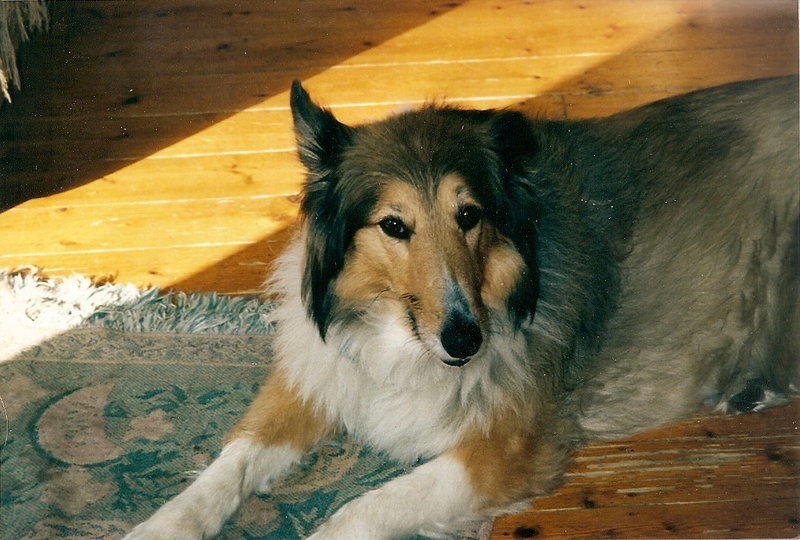 Her book represents a highly commendable attempt at exploring existing and diverse Roman Catholic attitudes toward animals, as well proposing the development of a substantial Catholic theology of animals. I propose to review her book in a future separate post. Similarly, her more popular writings in the Catholic periodical The Ark are to be commended. 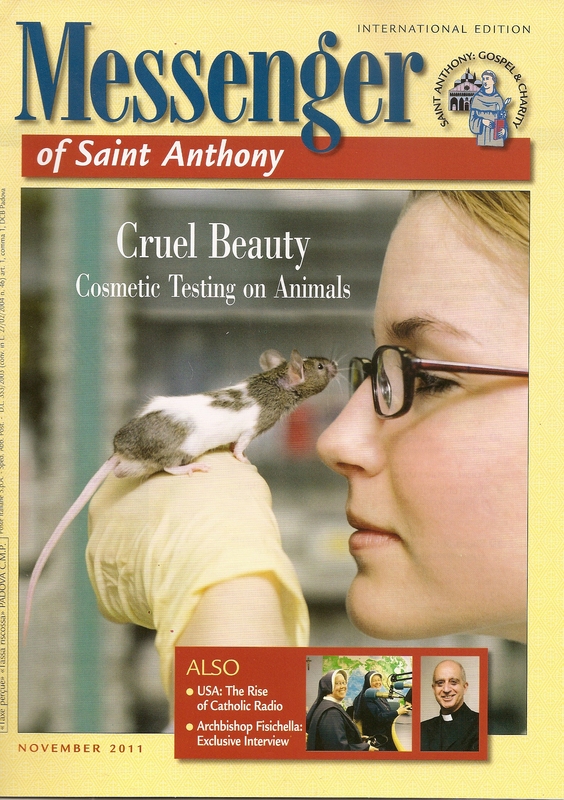 Her role in Catholic Concern for Animals is admirable and inspiring for other Christians. So my criticism below needs to be understood in light of these preliminary comments. The Earth is the Lord’s and the fulness thereof. O God, enlarge within us the sense of fellowship with all living things, our brothers the animals to whom thou hast given the earth as their home in common with us. We remember with shame that in the past we have exercised the high dominion of man with ruthless cruelty, so that the voice of the earth, which should have gone up to thee in song, has been a groan of travail. May we realize that they live, not for us alone, but for themselves and for thee, and that they have the sweetness of life. Jones continues her discussion beyond what I have quoted and refers to yet another prayer which she claims is found in the Liturgy. I will not pursue that particular claim here. 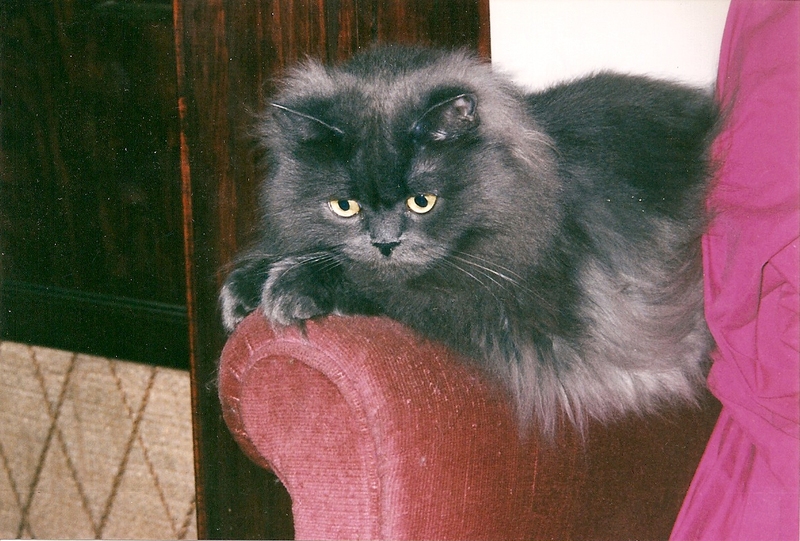 Nelson reclines. Photo Copyright © 2012 Philip Johnson. St Basil, Liturgy; cited in Charles D. Niven, History of the Humane Movement (New York: Transatlantic Arts, 1967), p. 27. See Psalm 36:6, ‘Man and beast thou savest, O Lord’ (RSV). Liturgy, cited in Linzey and Cohn-Sherbok, After Noah (1997), p. 84; also Sorabji, Animal Minds and Human Morals (1993), p. 202. 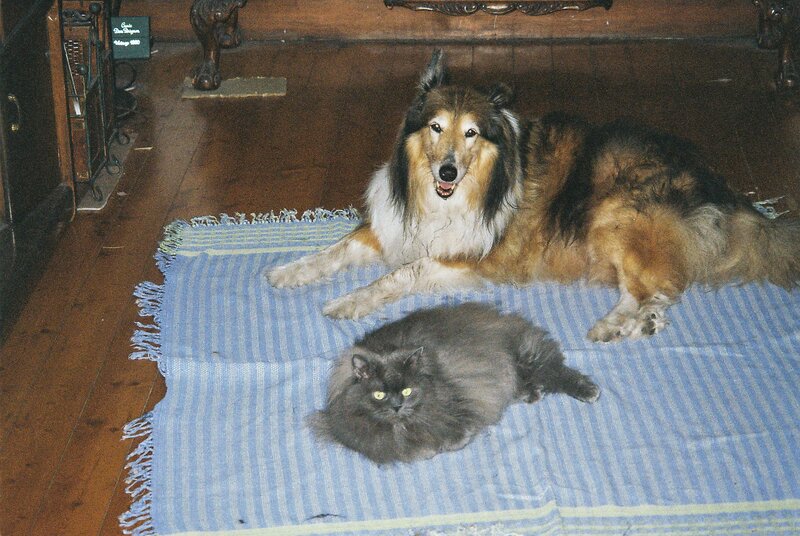 Arwen (1997-2010) & Mitten (1999-present). Photo Copyright © 2012 Philip Johnson. Although she states that both prayers come from the Liturgy, as used in the Russian Orthodox Church, she does not give a direct reference to a published translation of the Russian text of the Liturgy. In other words, there is no way that a reader who relies on her footnotes can easily cross-check her quote with the primary source. In anticipation of Part Six, the literary evidence does not take us back to St. Basil in the fourth century, nor even to the Liturgy that bears his name. “Our Brothers the Animals” does not have the “exotic” origins of coming out of the Russian Liturgy. The prayer has been uplifted out of context and circulated by many writers. It comprises the second paragraph of a three-paragraph prayer published in 1910 and that was actually authored by the liberal Baptist, Walter Rauschenbusch. While “Their Guileless Lives” emerged into print around 1915, and it was merely one litany in a sixteen-part set of litanies used by the Bishop of London Arthur Foley Winnington Ingram for an Easter service held on the Western Front during the First World War. It is this latter prayer which was ascribed to being part of a Russian Litany, and arose at best in the context of World War One. The basic issue is that her actual quotes for the prayers are derivative being drawn from Niven’s book, and Linzey & Cohn-Sherbok, and with an added allusion to Sorabji. Critical remarks have already been made about Sorabji in Part Two, which need not be repeated here. All that needs to be noted is that when Jones directs attention to Sorabji she does not strengthen but weakens her literary evidence. 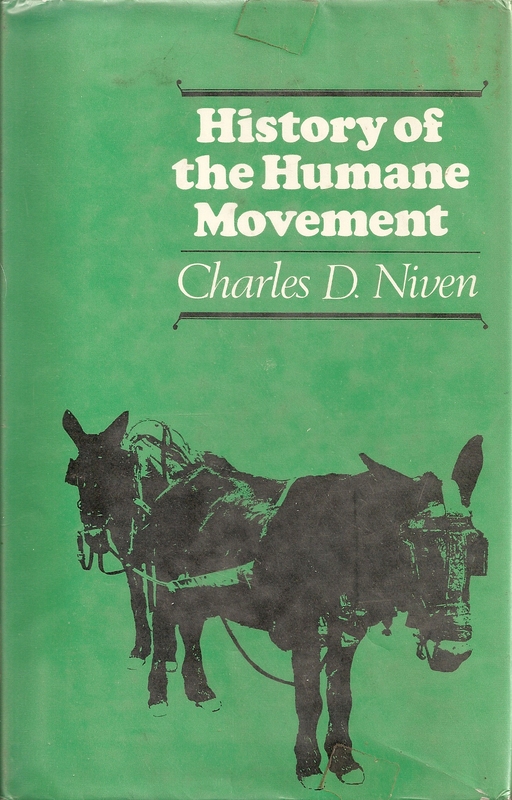 If Jones’ reliance on Sorabji represents a weak chain-link, then is her case improved by using Charles Niven’s History of the Humane Movement (New York: Transatlantic Arts, 1967)? I will be discussing Niven’s book in Part Six. However, it can be noted here that Niven does not provide a direct quote from a translated text of the Liturgy of St. Basil. The version that Niven quotes lacks the last thirty-eight words found in Newman’s version. He specifically takes his quote of the prayer “Our Brothers the Animals” from C. W. Hume who in turn (as will be discussed in Part Six) relies on yet another source. In other words, by the time Niven reproduces the prayer the chain-link is already third-hand. Thus, when Jones reproduces what Niven has quoted, her chain-link to the sources via Niven is at best fourth-hand. 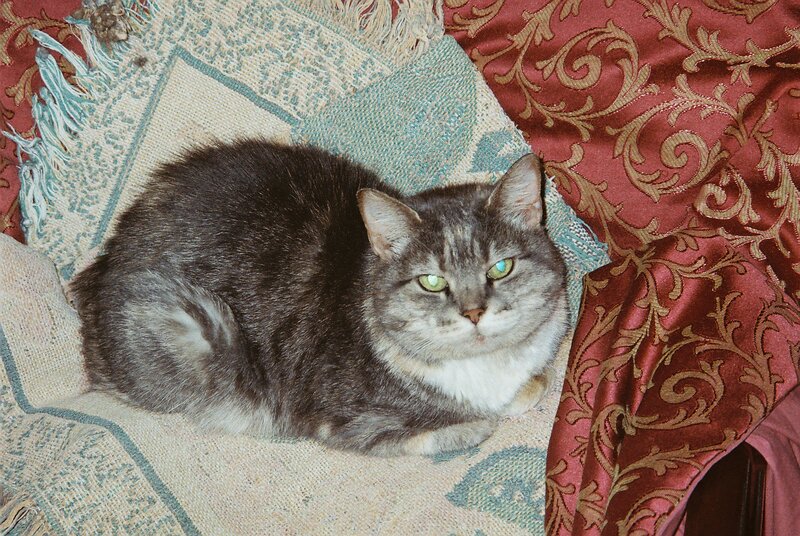 Mitten (1999-present) concentrating on arm-chair. Photo Copyright © 2012 Philip Johnson. 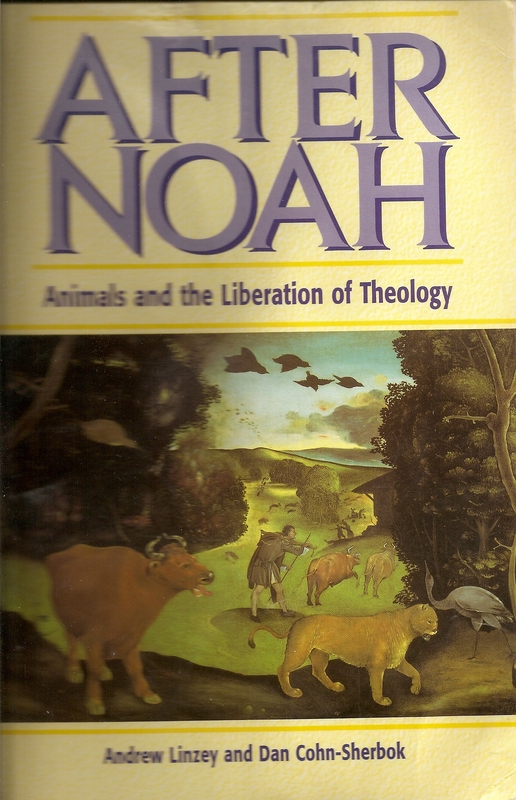 Jones’ other source is the jointly authored theological text After Noah: Animals and the Liberation of Theology by Andrew Linzey [Anglican] and Dan Cohn-Sherbok [Jewish Rabbi] (London: Mowbray, 1997). Chapter four of After Noah is entitled “The Christian Tradition: Christ and the stories of Christ-like compassion.” Within this chapter Linzey and Cohn-Sherbok discuss stories about Christ and animals in apocryphal writings, and selected stories and acts of various monks and saints. In a section “A sacramental world” the authors discuss a sacramental understanding of God’s creation in relation to the Trinity. That section discusses Teilhard de Chardin, Sebastian Brock, Ephrem the Syrian and St. 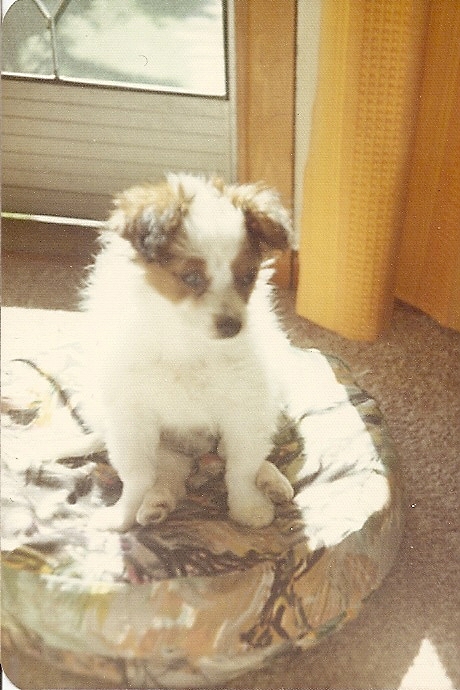 Basil the Great. In that section St. Basil’s book on the Holy Spirit is quoted and discussed but there is no reference to The Liturgy of St. Basil. St Basil the Great, cited in Eric Milner-White and G. W. Briggs (eds) Daily Prayer (London: Oxford University Press, 1946), p. 79 . … and the liturgy of St Basil speaks of the limitless majesty of God ‘holy in all your works’. Eucharist of St. Basil; in Bouyer, op.cit., p. 288. The full reference for this book that they are using is Louis Bouyer, Eucharist: Theology and Spirituality of the Eucharistic Prayer, ed. and trans. C. U. Quinn (London & Notre Dame, IN: University of Notre Dame Press, 1968). 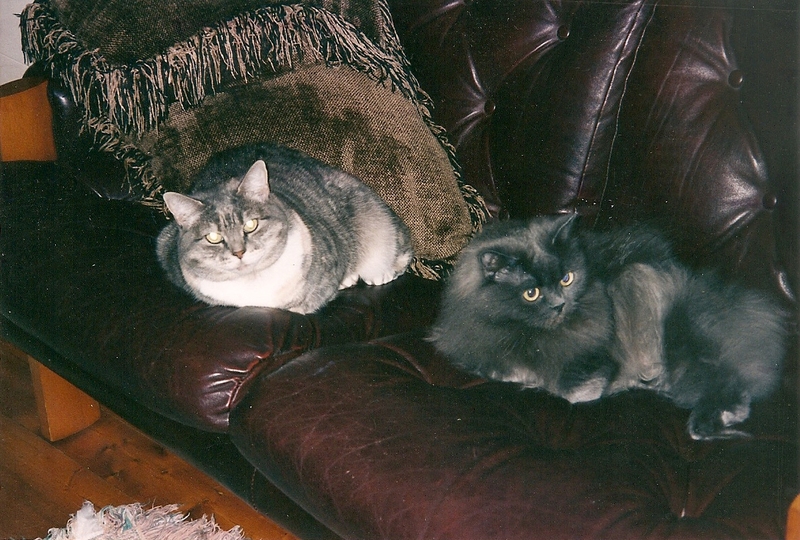 Mummy & Mitten lounging around. 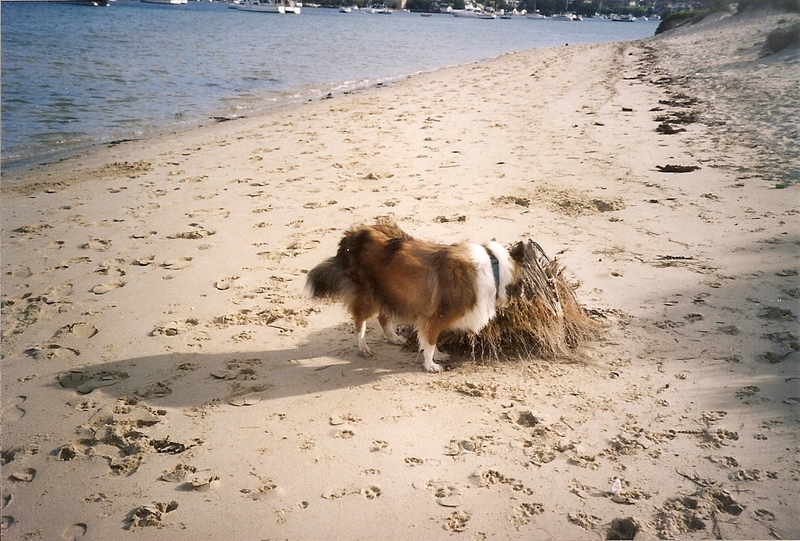 Photo Copyright © 2012 Philip Johnson. The passages in chapter four of After Noah when read in context take a different direction from the bibliographical inference drawn by Deborah Jones. In chapter four they do not make any reference to the Liturgy. Instead the prayer they quote comes from the 1946 anthology Daily Prayer. Linzey and Cohn-Sherbok say that the prayer is “attributed to Saint Basil the Great” but they do not claim in the passage that it is definitely a prayer by him. Liturgy, cited in Linzey and Cohn-Sherbok, After Noah (1997), p. 84. One other textual point for comparison is to note that the version of “Their Guileless Lives” that Linzey and Cohn-Sherbok quote contains an important verbal difference from other versions I have referred to in these posts (including Newman’s version in Part One and the version found in the Linzey & Regan anthology Love the Animals see Part Two). Notice this clause, “giving their lives for the well-being of their countries”. The allusion to “their countries” should spark off a reflection: is it likely that a fourth century monk and bishop would offer a prayer about animal lives being sacrificed “for the well-being of their countries”? The language is decidedly modern, and as I will show in a subsequent post that is because the prayer comes from World War One and not the fourth century. 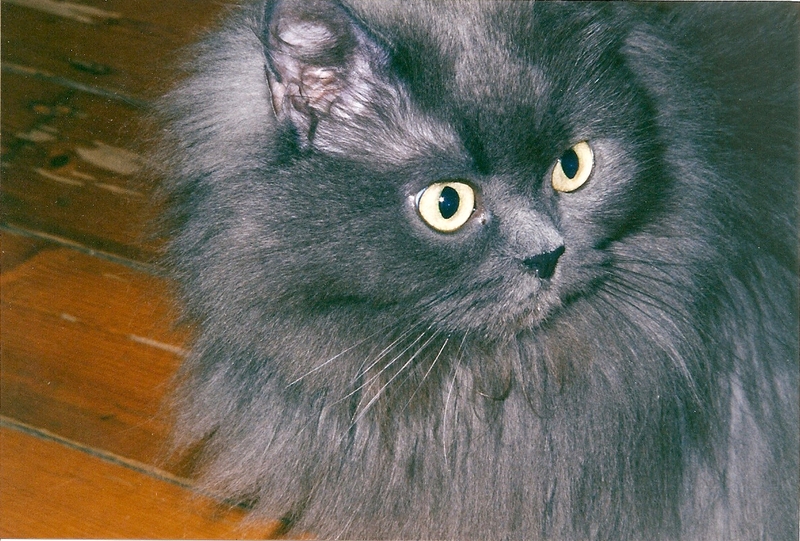 Arwen (1997-2010). Photo Copyright © 2012 Philip Johnson. Lastly, if one reads the periodical The Ark (no 112, Spring 2009) one will find that Jones has reused some of her material on St Basil and adapted it for that popular format. Obviously no documentation in the magazine article is supplied for her quotes from the Liturgy of St Basil. On the whole, few in the Church extend its vision of social justice to the total Earth community. This is rather surprising since a tradition of creation-centred theology has been present within the Church over the centuries. 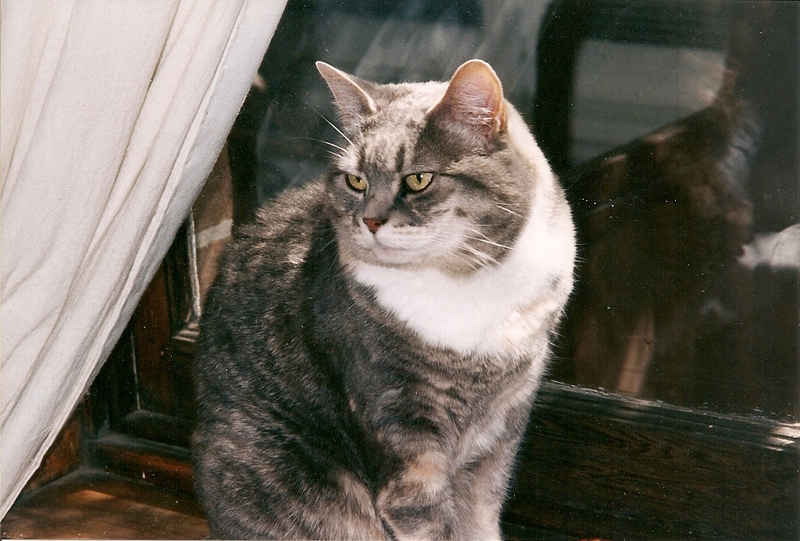 For St Francis of Assisi, every creature in the world was a mirror of God’s presence. St Basil prayed that God “enlarge within us the sense of fellowship will all living things.” Hildegarde of Bingen spoke of the entire world being “embraced” by the kiss of the Creator. While one does not expect bibliographical references in a popular periodical, Ellen Teague’s article is one example of how the St Basil prayers are accepted as genuine at face-value and kept in constant circulation. 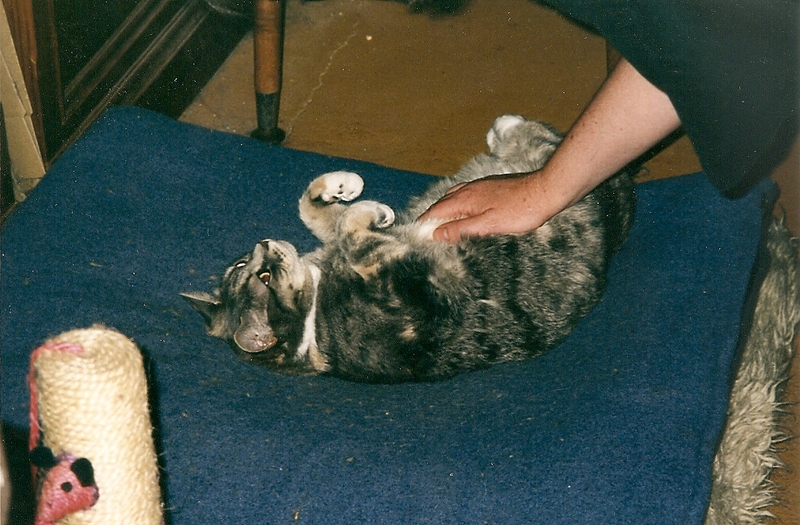 Another example is found in Victor Parachin’s article “Paws That Heal”, which appeared in an earlier edition of the Messenger of Saint Anthony. Parachin quotes an “ancient prayer from St. Basil” and reproduces a shorter version of “Our Brothers the Animals”. Again, no reference to the source of the prayer is given. 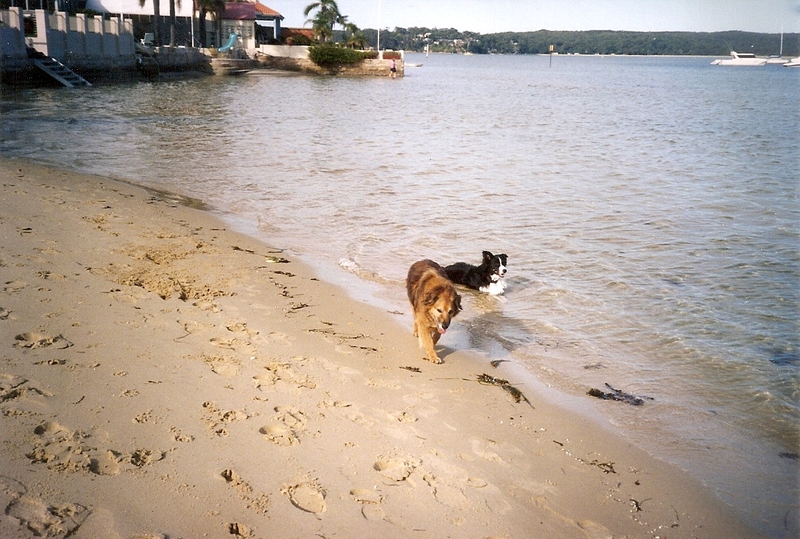 Penelope and Nelson on the beach. Photo Copyright © 2012 Philip Johnson. Roland Lesseps is a Jesuit scientist serving at Kasisi Agricultural Training Centre, Lusaka Zambia. Peter Henriot is Director of the Jesuit Centre for Theological Reflection, Lusaka Zambia. In 2003 they presented a co-authored paper Church’s Social Teaching and the Ethics of GMOs at a seminar convened by The Pontifical Council for Justice and Peace (November 10-11, 2003) on the theme GMOs: Threat or Hope? The next point is that the vocabulary has been modernised with words being changed like “thee” and “thou” into “you”. The text has been adjusted for inclusive language. The more widespread version of the prayer says “our brothers the animals”, whereas in this text they are now called “our brothers and sisters”. 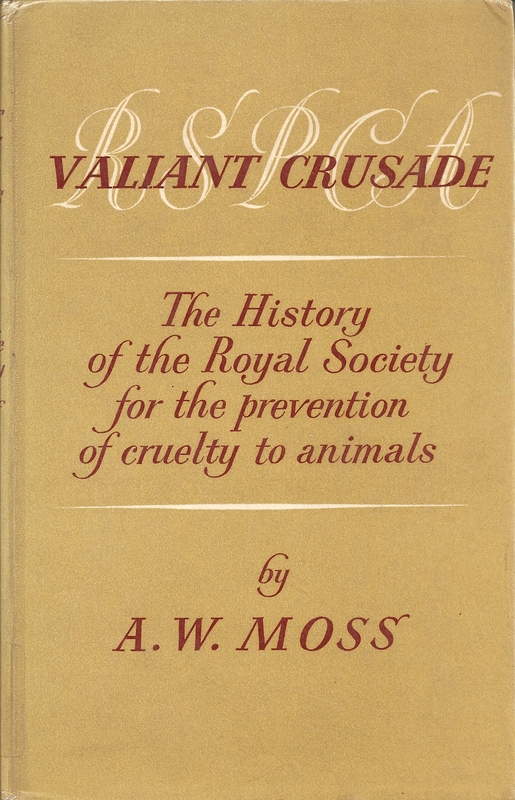 The clause “we have exercised the high dominion of man with ruthless cruelty” has been altered so that “of man” drops out and the text becomes “we have exercised high dominion with ruthless cruelty”. The last comment I wish to make is that given their suspicion that this prayer reads like a “modern prayer,” why did Lessep and Henriot not confer first of all with a Catholic expert in Patristics to check on the prayer’s authenticity before choosing to quote it at this seminar? The paper by Lessep and Henriot has been published as chapter five in Siphiwe F. Mkhize, Towards Hope and Challenge: Agricultural Biotechnology and The Catholic Social Teachings (Arcadia, South Africa: MaVovo kaKaKa Publishers, 2004). 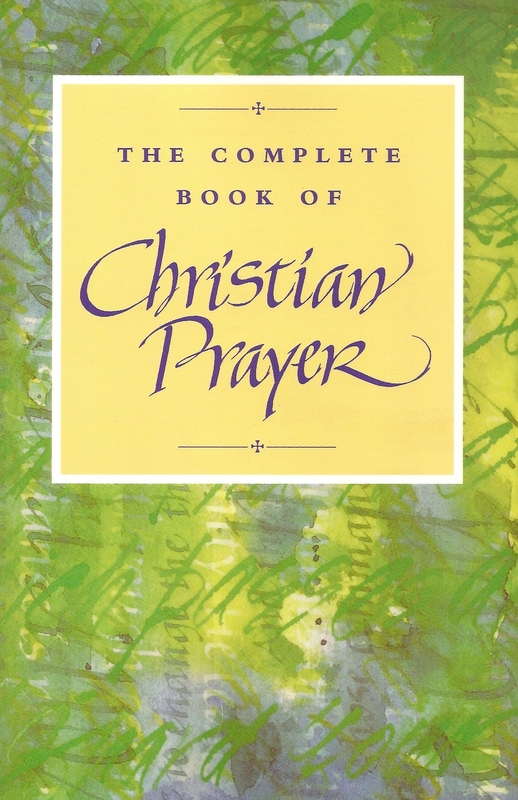 The prayer appears on page 47, and again there is no bibliographical reference supplied. For more discussion see Part Five. To read the earlier portions of this work see Part One (here), and Part Two (here). N.B. 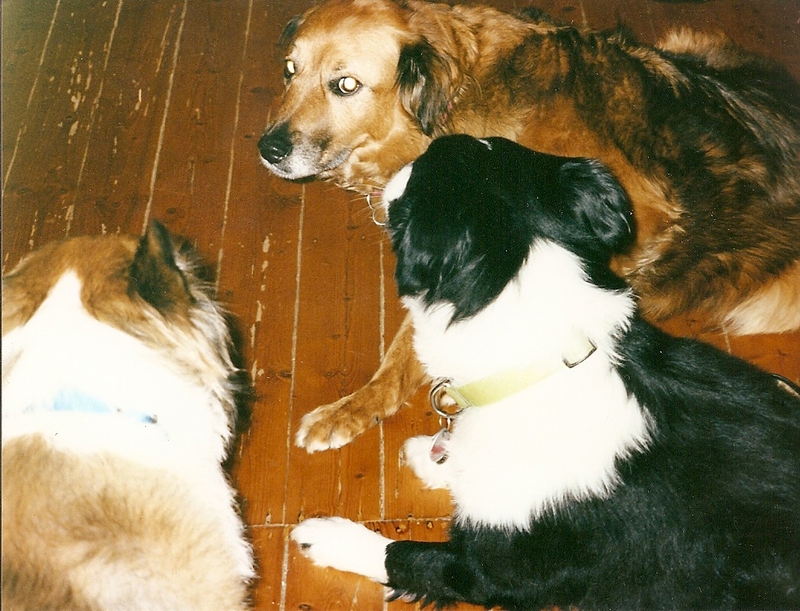 The following text in this blog-post St. Basil’s “Animal Prayers” are a “Hoax” Part Three is Copyright © 2012 Philip Johnson. In my previous post (Part Two) I pointed to various examples of mostly academic writers who quote the prayers attributed to St. 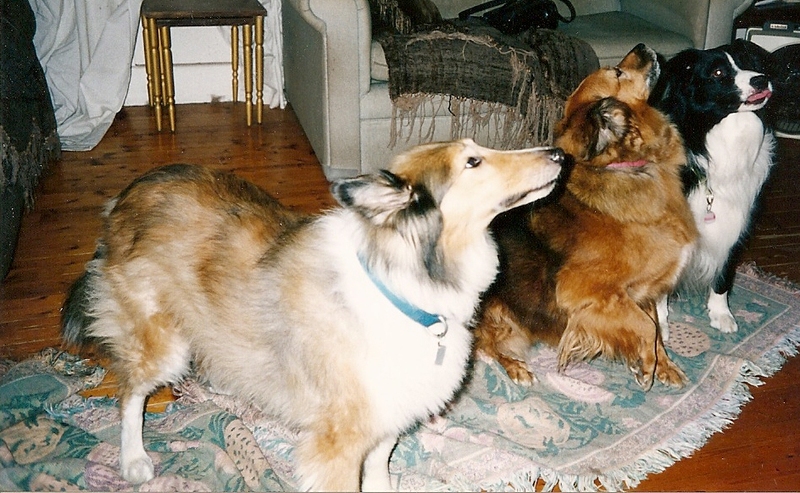 Basil “Their Guileless Lives” and “Our Brothers the Animals”. I noted how each author has failed to provide a direct citation from St. Basil’s writings or from a translated text of the Liturgy of St. Basil. In this present post I will provide further examples of the same problem by concentrating primarily on what Christian authors have published. This is also a long post and the subject will carry forward to further posts. 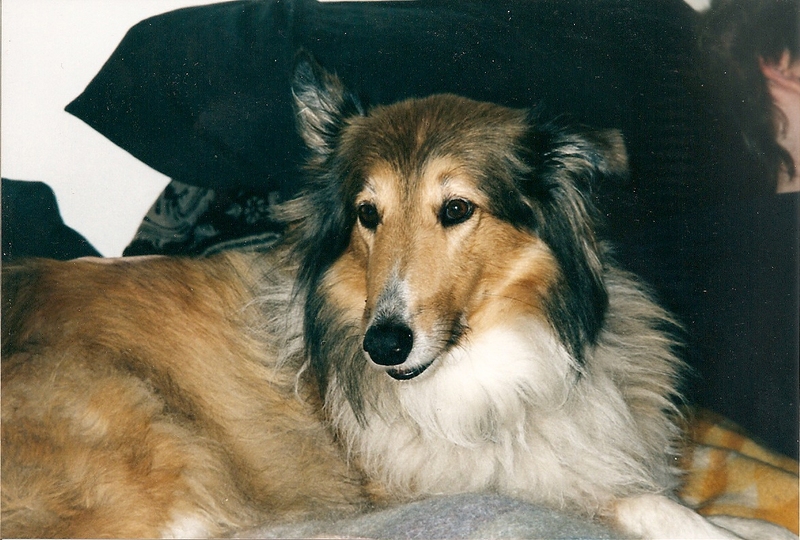 Torben (2010-present). Photo Copyright © 2012 Philip Johnson. As I stated in my previous post (Part Two), I will continue to identify authors who claim that the prayers are from St. Basil. I am underscoring the point that a serious error is perpetuated in the genre of animal ethics and theology because of a lapse in maintaining rigorous and high standards of documentation. One should expect that particularly in the case of an early church figure like St. Basil that modern-day authors would be at pains to provide an unambiguous and direct citation of the prayers from St. Basil’s works. The issue is not trivial particularly when it turns out that the prayers do not come from St. Basil or from the liturgies of the Eastern Orthodox churches. However, let me emphasise once again that I am not picking on the authors named. 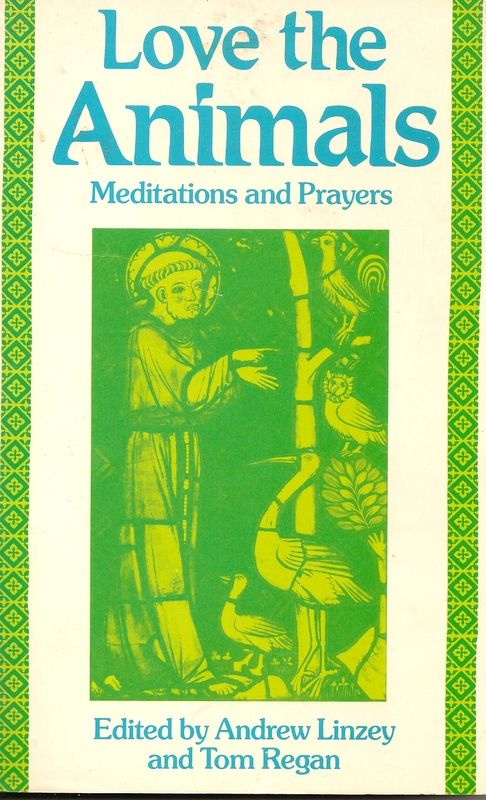 St. Basil’s “Our Brothers the Animals” is regarded as a genuine prayer in a recently published reference work. 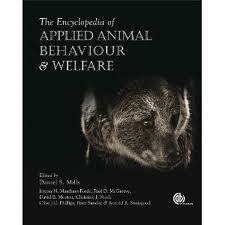 The Encyclopedia of Applied Animal Behaviour and Welfare, ed. 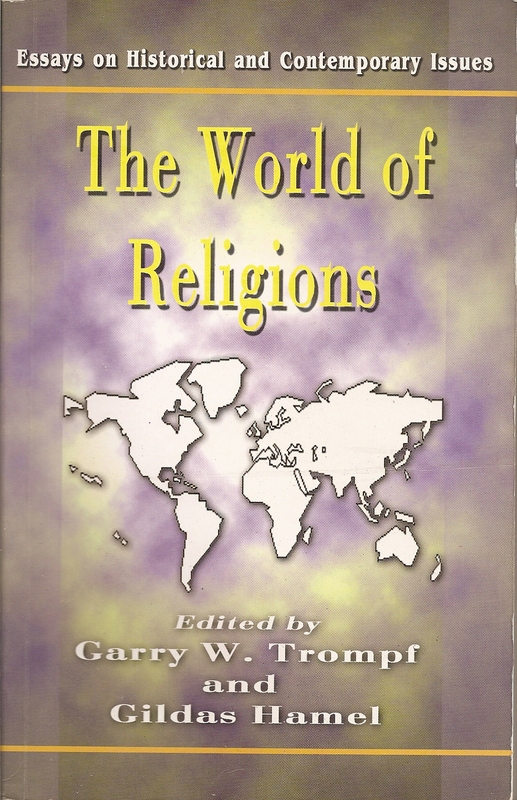 Daniel S. Mills (Wallingford, Oxfordshire & Cambridge, Massachusetts: CAB International, 2010) contains an article on “Christianity” (pp 102-103). The author is Dr Helena Röcklinsberg. She is a Swedish scholar who worked for seven years at the Centre for Theology and Religious Studies, Lund University, and having completed her doctorate in animal ethics (2001) in the theology department at Uppsala University. She now holds a post as lecturer in animal ethics in the Department of Animal Environment and Health at the Swedish University of Agricultural Sciences, Uppsala. St. 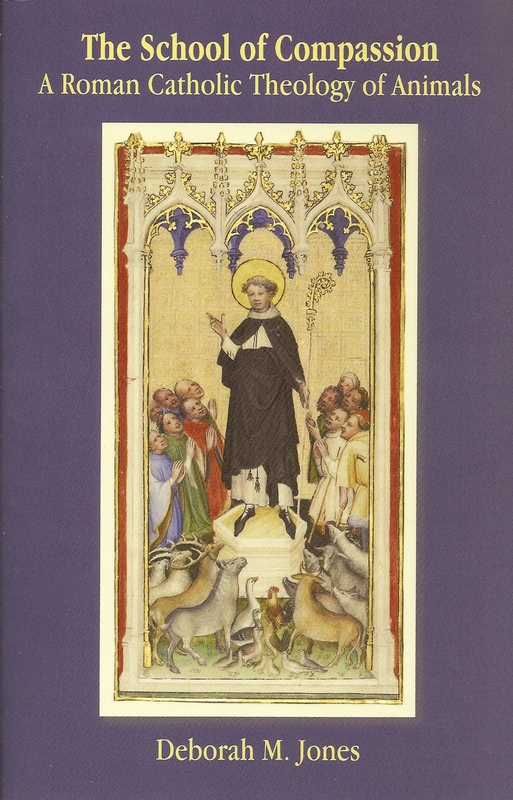 Basil of Caesarea (also 4th century) goes one step further by emphasizing human interdependence and interaction with the rest of the creation: “O God, enlarge within us the sense of fellowship with all living things, our brothers the animals to whom Thou gavest the earth as their home in common with us.” (Hume, 1962). In St. Basil’s Liturgy Christians ask for forgiveness for being cruel towards animals — without a second thought for eternal life. 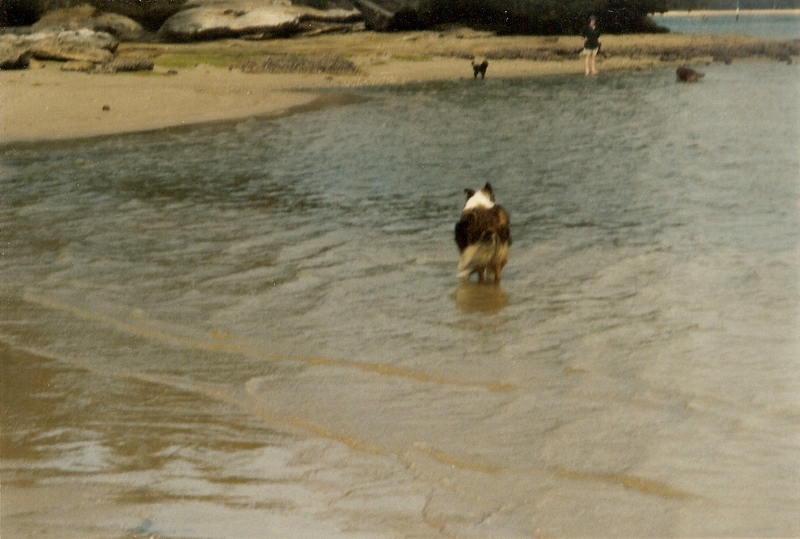 Rather, his prayers are a very early expression of animals seen as valuable in themselves. 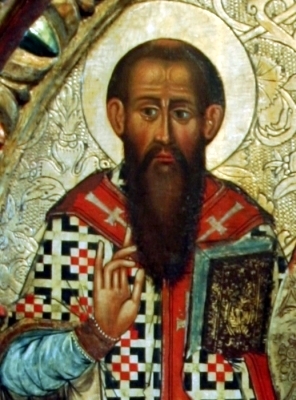 St. Basil’s position has strongly influenced Eastern Christendom, and there is a direct connection to today’s Orthodox liturgy. 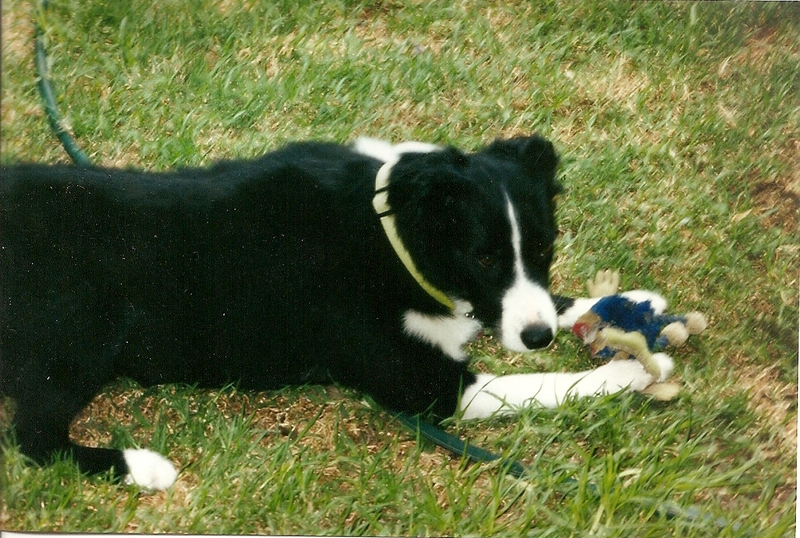 Expressing his holistic perspective blessing of creation and creatures is still part of a service. 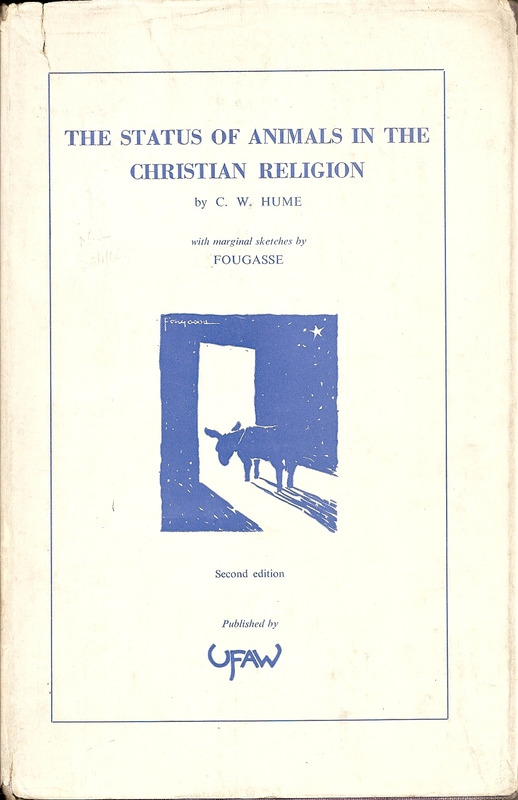 Röcklinsberg uses as her source for the prayer C. W. Hume (for more discussion on Hume see Part Six), and does not provide a direct bibliographical reference to a published translation of St. Basil’s Liturgy. In the absence of any specific bibliographical texts concerning Eastern Orthodox liturgy or St. 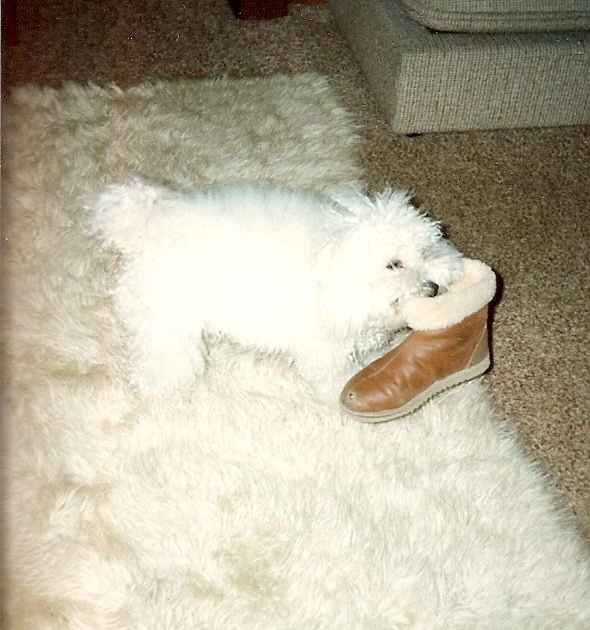 Basil, her comments about that tradition should be investigated further. It is very true, as Röcklinsberg says, that Orthodoxy liturgies do include occasions for the blessing of creation. Likewise, St. Basil’s Liturgy is normally celebrated on ten selected occasions during the liturgical year: January 1 (St. Basil’s feast), the five Sundays in Lent, on Christmas Eve, and Theophany. However, in this article Röcklinsberg seems to overstate the prominence of St. Basil’s Liturgy because it is not the only liturgical text used in Eastern Orthodox churches. The very awkward fact though is that the prayer “Our Brothers the Animals” is not in St. Basil’s Liturgy or for that matter in any other liturgical text used in the Eastern Orthodox community of churches. 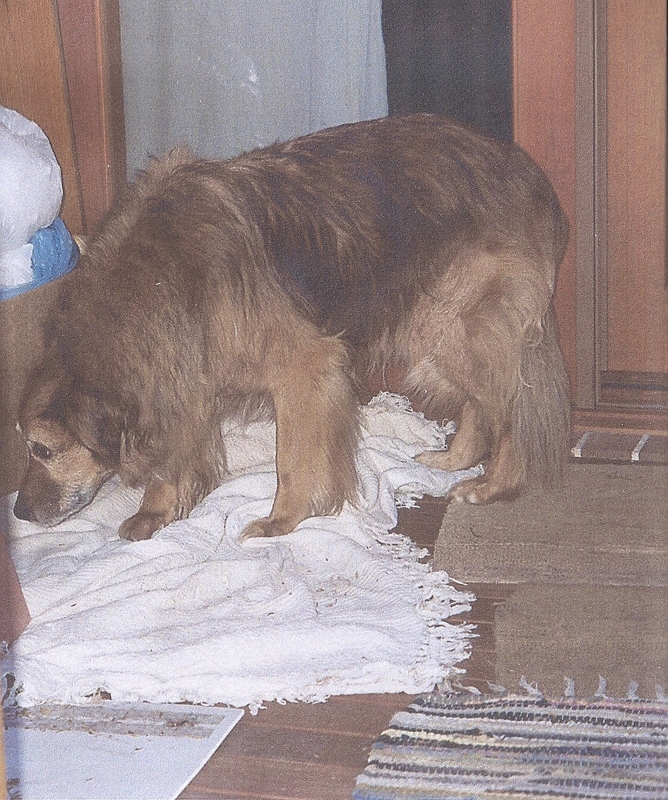 Nelson 1996-2010. Photo Copyright © 2012 Philip Johnson. 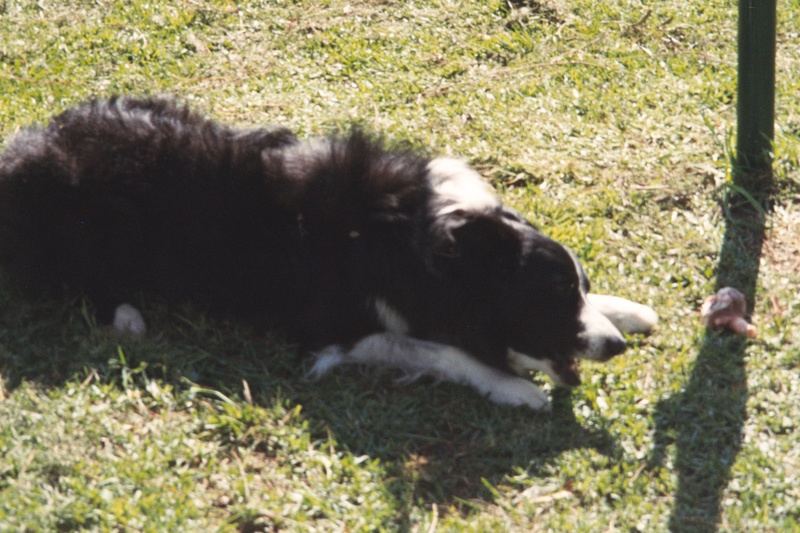 Several Christian theologians, clergy, and church-based animal activists in English-speaking nations have published books and articles that include one or both of the prayers attributed to St. Basil. As it will become clear below, very few have raised any cautionary comments about the authenticity of these prayers. 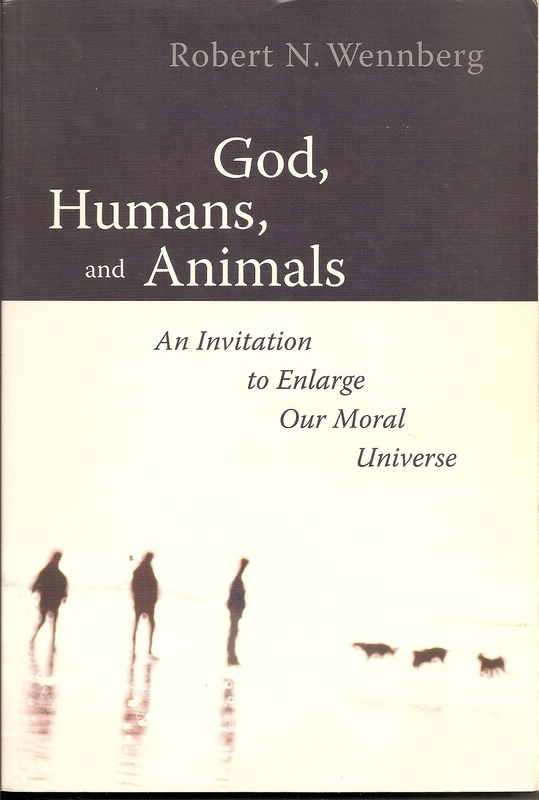 Several authors within the various niches of the North American evangelical traditions have commendably written books concerning animal ethics and theology. 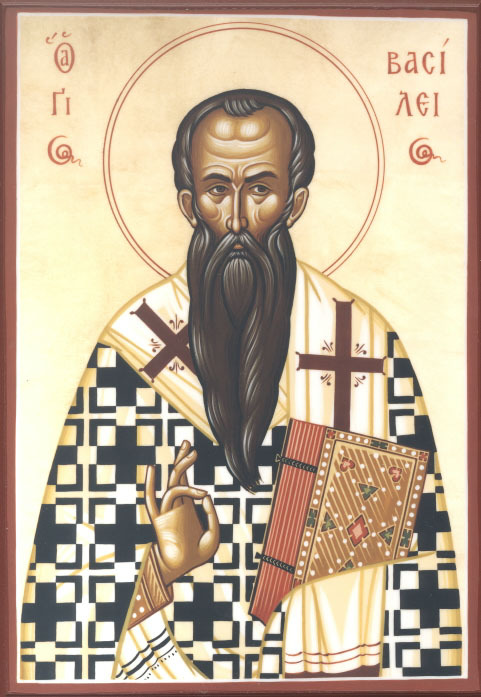 Some evangelicals have referred to St. Basil’s prayers in both academic and mass-market publications. David Graham Henderson is a contributor to the recently released book Taking Christian Moral Thought Seriously:The Legitimacy of Religious Beliefs in the Marketplace of Ideas, ed. Jeremy A. Evans (Nashville: B & H Publishing, 2011). 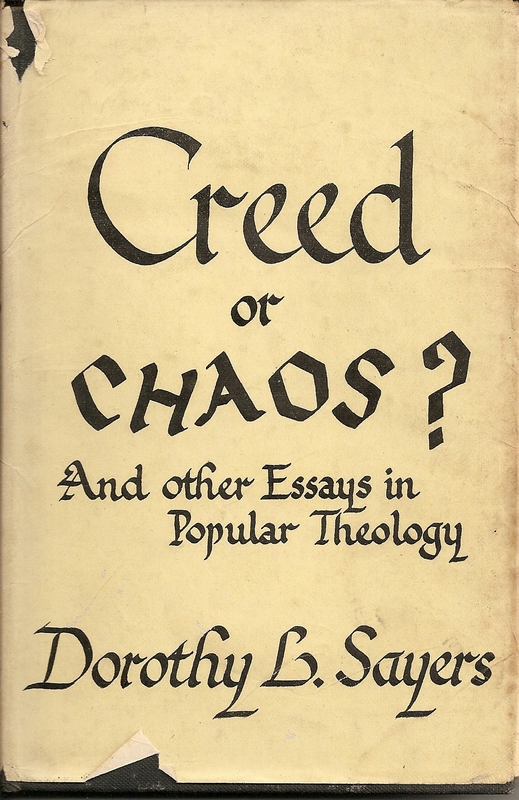 This book is part of an academic series B & H Studies in Christian Ethics released by the Baptist publishing firm Broadman & Holman (or B & H). Henderson is described as “assistant professor in the Philosophy and Religion Department at Western Carolina University” (p ix). 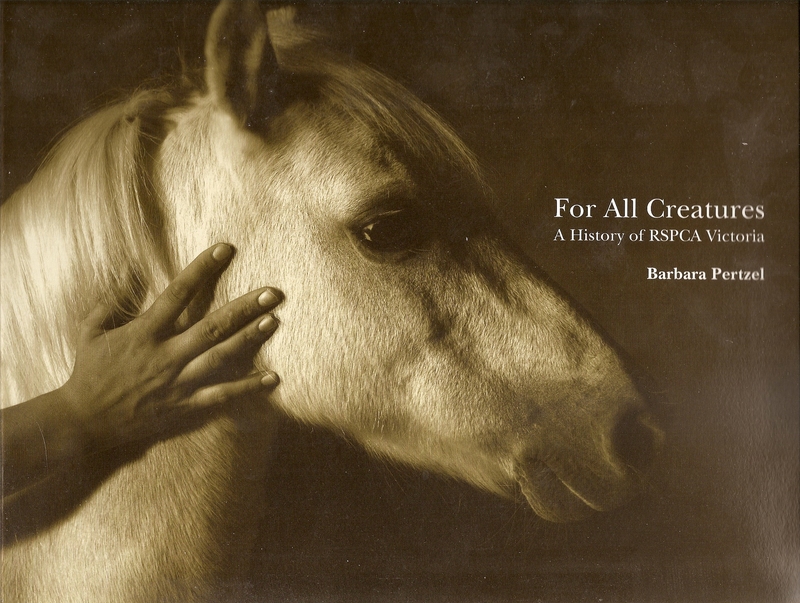 In this book Henderson has contributed a chapter “Creation Care”. He begins his chapter (p 177) with an epigraph quotation which is the prayer, “Our Brothers the Animals”. 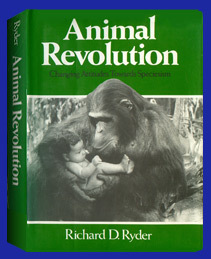 Henderson’s source is Richard Ryder, Animal Revolution: Changing Attitudes towards Speciesism (Oxford: Basil Blackwell, 1989), p. 34. 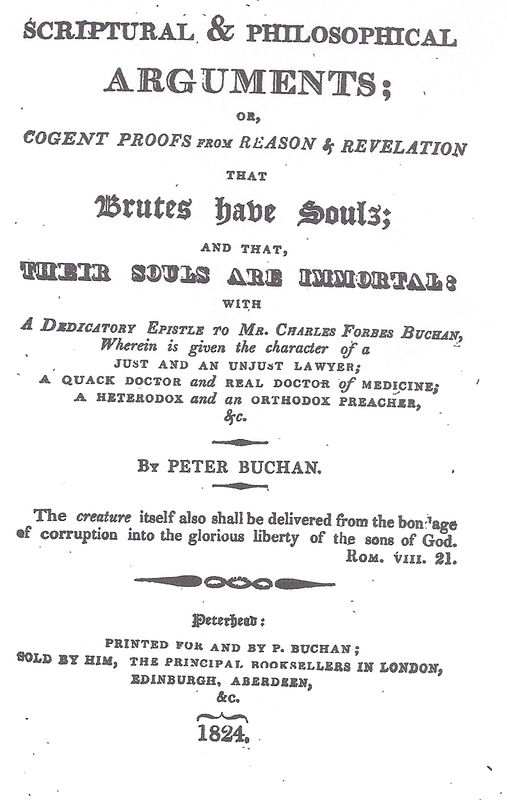 In Part Two I indicated that Ryder relied on C. W. Hume as his source for the prayer. So the literary chain-link here is at least fourth-hand: Henderson to Ryder to Hume to another source. While not addressing wilderness per se, consider the biocentric outlook revealed in St. Basil’s prayer. His bibliographical source was Matthew Scully’s book Dominion: The Power of Man, the Suffering of Animals, and the Call to Mercy (New York: St. Martin’s Press, 2002), p. 13. Scully’s book is discussed in more detail in Part Four, and a few comments also appear in discussing the next author Craig Bartholomew. One is struck by Bartholomew’s confident assertion that evidence of benevolence toward animals among Christians is found in St. Basil in the year A.D. 375. The date supplied suggests that the prayer “Our Brothers the Animals” can be pin-pointed to that year. Bartholomew’s source is Matthew Scully, Dominion: The Power of Man, the Suffering of Animals, and the Call to Mercy (New York: St. Martin’s Press, 2002), p. 13. Bartholomew’s rhetorical emphasis on the prayer’s date appears to rely on the words that Matthew Scully used to introduce the same prayer. Scully indicates that he found the prayer which comes “from Saint Basil, the bishop of Caesarea, circa A. D. 375”. The problem though is that Scully’s bibliographical citation gives no clear clue as to how one could demonstrate that the text of the prayer can be dated to around A. D. 375. Scully is a lay Roman Catholic author and not a professional church historian or professional theologian. 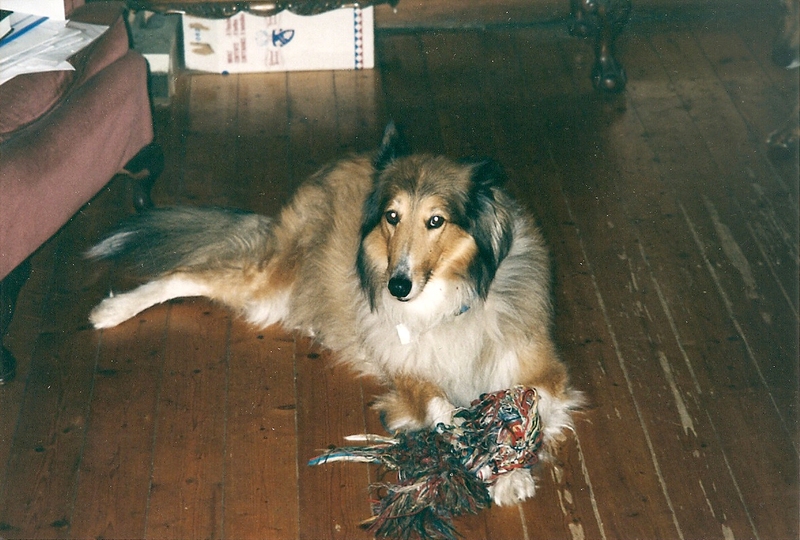 It is curious that a scholar of Bartholomew’s rank and reputation has selected Scully as his source rather than heading directly to the primary sources. I will discuss Scully separately in Part Four. Right now it is sufficient to note that Scully’s bibliographical source is Basil’s writings collected in volume 8 of The Nicene and Post-Nicene Fathers. In Part One of this post I noted that neither “Their Guileless Lives” or “Our Brothers the Animals” is found in The Nicene and Post-Nicene Fathers. Bartholomew’s literary chain-link for the prayer leads to a dead-end: Bartholomew to Scully to The Nicene Fathers (and the prayer is not in that text). 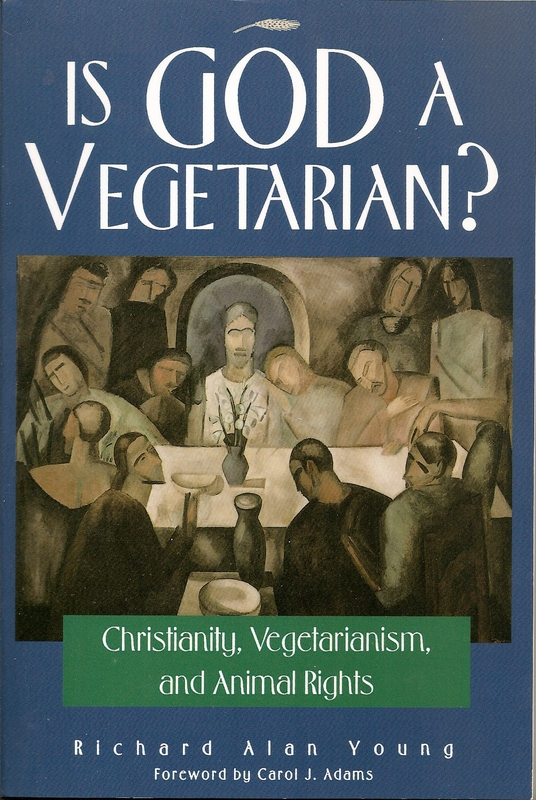 Richard Alan Young writes from within the Baptist tradition and is commendably an enthusiastic advocate of a vegetarian diet and lifestyle. 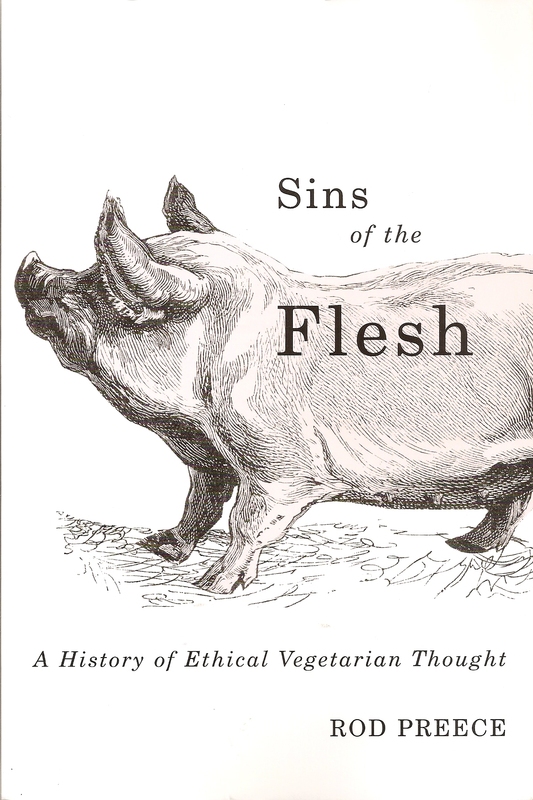 On page 140 of his book Is God a Vegetarian? Christianity, Vegetarianism, and Animal Rights (Chicago & LaSalle, Illinois: Open Court, 1999), Young reproduces “Our Brothers the Animals”. His source is The Complete Book of Christian Prayer (see Part Two for analysis of that book). His documentary chain-link for the prayer is very weak: Young quotes Complete Book, which in turn does not seem to have an unambiguous source listed for its quote of the prayer. 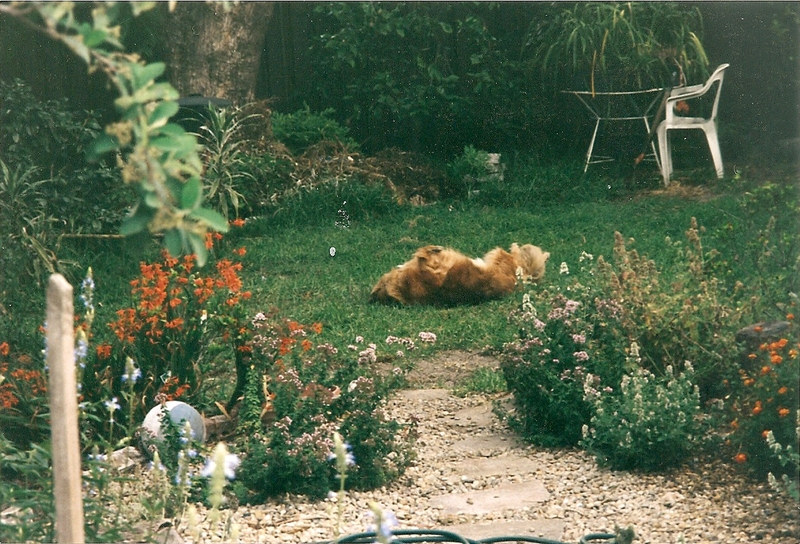 Basil thus prays for both domesticated and wild animals, commending them, along with their needs, to a compassion that extends to all creatures. Wennberg inserts two footnotes regarding his two quotes. 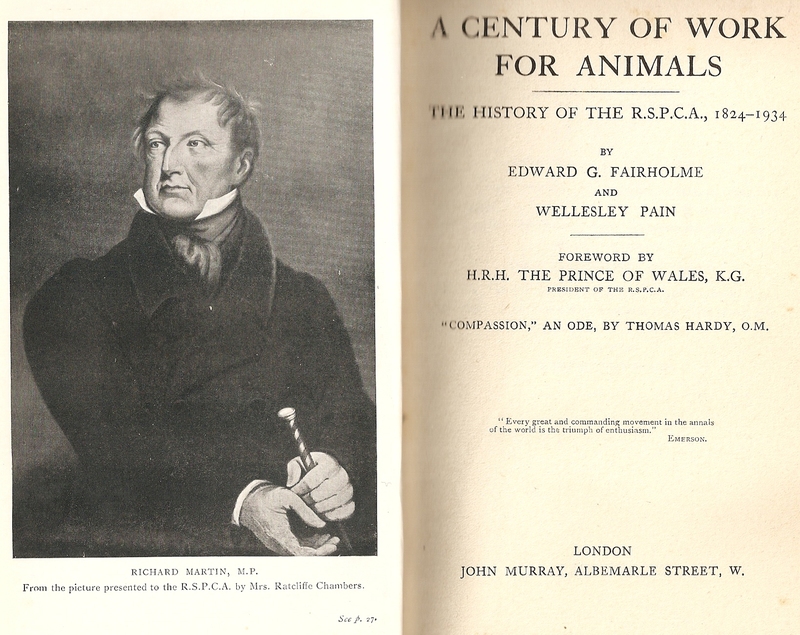 The first is Sorabji’s Animal Minds and Human Morals, pages 199-200; while the second is from Linzey & Regan’s anthology, Love the Animals. 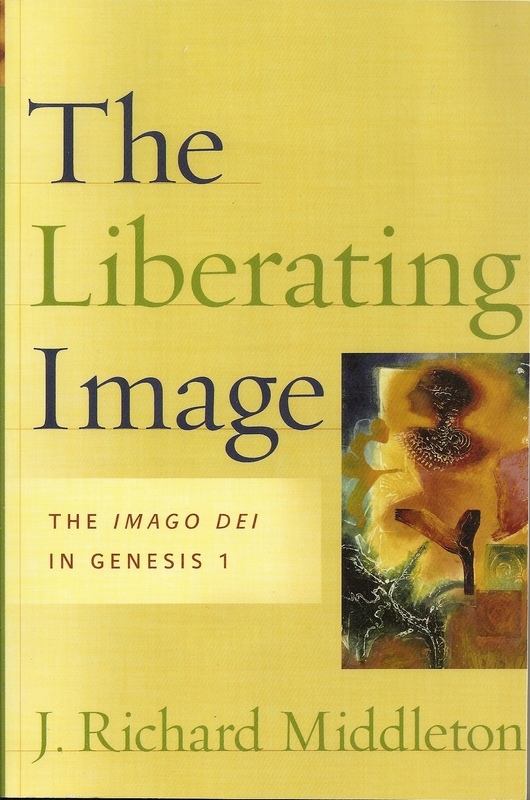 As I noted in Part Two, Sorabji says “Basil of Caesarea insists that animals live not for us alone, but for themselves and for God.” and he immediately gives as his only bibliographic reference “Basil Liturgy”. Sorabji failed to provide a direct reference to a published version of the Liturgy. Thus Wennberg’s documentary chain-link is very weak. Similarly, Wennberg’s quotation of “Their Guileless Lives” is at best fourth-hand: Wennberg to Linzey & Regan to Newman to an unknown source. Randall Balmer has distinguished himself as an astute historian of American evangelicalism. In Thy Kingdom Come: How the Religious Right Distorts the Faith and Threatens America (New York: Basic Books, 2006), Balmer discusses the problems of the environment. His fifth chapter begins (p 143) with an epigraph quote, which consists of St. Basil’s “Our Brothers the Animals”. Unfortunately, there is no bibliographical reference for the quote. Fred Van Dyke is Professor of Field Biology at Wheaton College, Illinois. 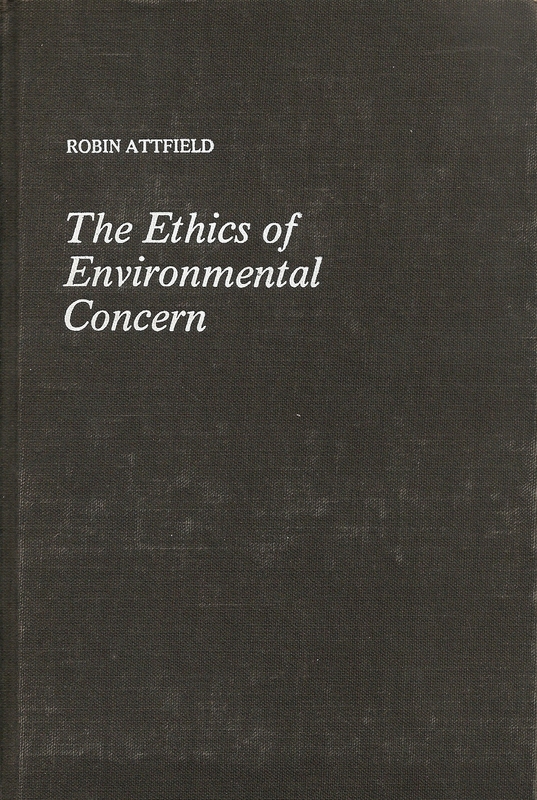 He has written a number of articles, contributed chapters to books, and authored two books, many of which are concerned about developing a distinctly Christian attitude and ethic about the environment. 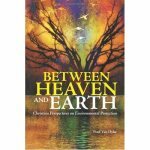 In Between Heaven and Earth: Christian Perspectives on Environmental Protection (Santa Barbara, California: ABC-CLIO, 2010), Van Dyke cites on page 75 both “Their Guileless Lives” and “Our Brothers the Animals”. He obtained both quotes from the Roman Catholic Irish Columban missionary Sean McDonagh, The Greening of the Church (Maryknoll: Orbis 1990). However, Van Dyke does not supply any page references from McDonagh’s book. Over a decade ago I co-founded an e-journal called Sacred Tribes Journal. I helped co-edit the first few editions (from Volume 1 to Volume 2), and then editorial responsibilities were assumed by other colleagues. Much to my chagrin, I find that one guest contributor to the journal has added to the top-heavy pile of unsourced quotes concerning St. Basil’s prayer “Our Brothers the Animals”. There is no bibliographical reference given in his essay but on the face of it one can surmise that Illyn obtained this quote from Scully’s Dominion. For these reasons, the Editors of the English translation do not regard the work On the Character of Men and on the Virtuous Life as a Christian writing, and have therefore placed it in an appendix. The Philokalia, Volume 1, translated and edited by G. E. H. Palmer, Philip Sherrard and Kallistos Ware (London: Faber, 1979), p 328. Ben Lowe is a younger evangelical author writing for the mass-market. His book Green Revolution: Coming Together to Care for Creation (Downers Grove, Illinois: InterVarsity Press, 2009) tells stories to inspire evangelicals to become active in practicising a lifestyle ethic that preserves the creation. 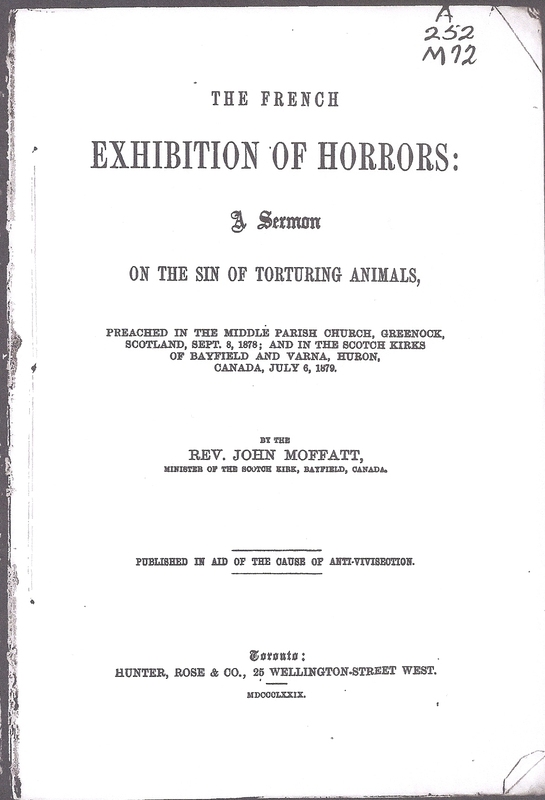 On page 155 he reproduces “Our Brothers the Animals” but does not supply any bibliographical reference. The late J. R. Hyland (1933-2007) began her spiritual life as a Roman Catholic but subsequently participated in the Assemblies of God (AOG) churches and was ordained a home missionary in the AOG. 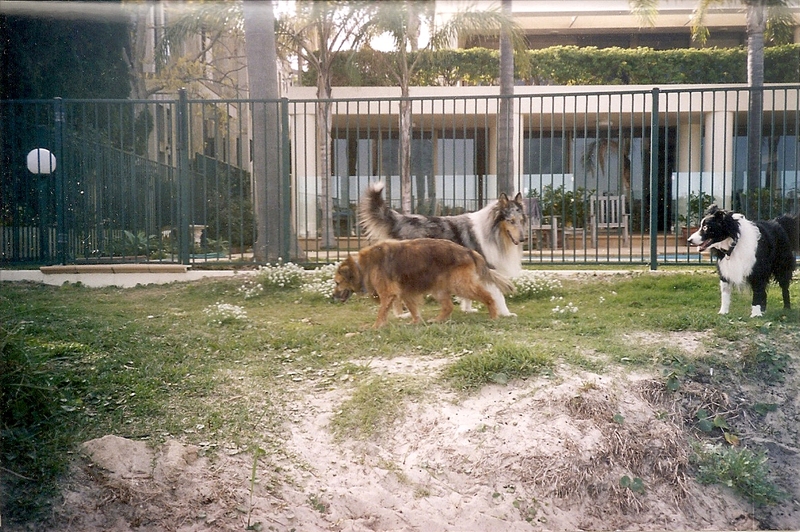 She was a strong advocate for animal rights and for adopting a vegetarian diet, and established in Florida her para-church organisation Viatoris Ministries. 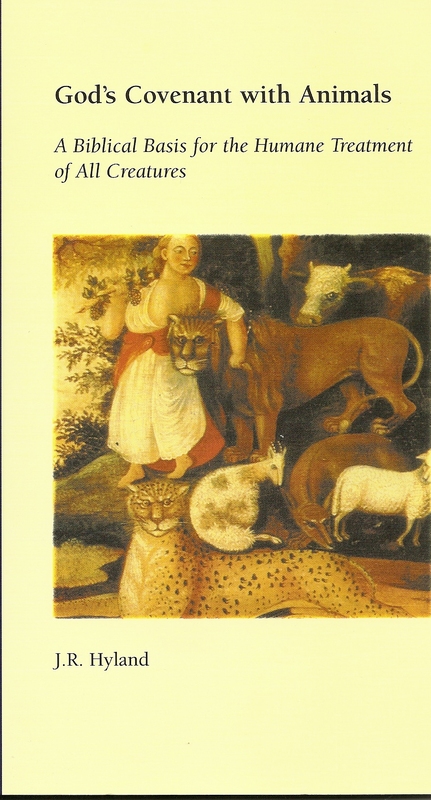 Hyland wrote God’s Covenant with Animals: A Biblical Basis for the Humane Treatment of All Creatures (New York: Lantern, 2000). On page xi she reproduces an abbreviated version of “Our Brothers the Animals” but did not supply any reference for the quote. She also incorrectly dated St. Basil to “A.D. 275”. N.B. 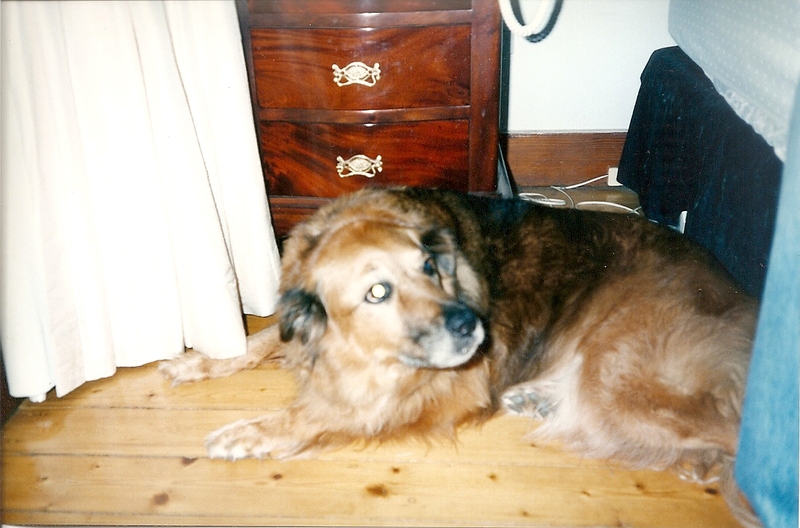 The following text in this blog-post St. Basil’s “Animal Prayers” are a “Hoax” Part One is Copyright © 2012 Philip Johnson. For the later posts that continue this discussion see Part Two, Part Three, Part Four, Part Five, Part Six and Part Seven. 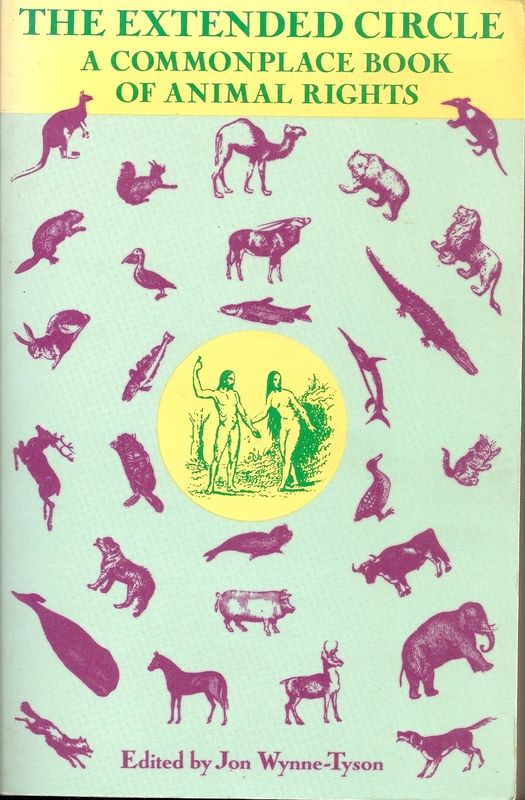 Much excitement has been generated over the past fifty years about two “animal prayers” which are attributed to the fourth-century Eastern Orthodox church father St. 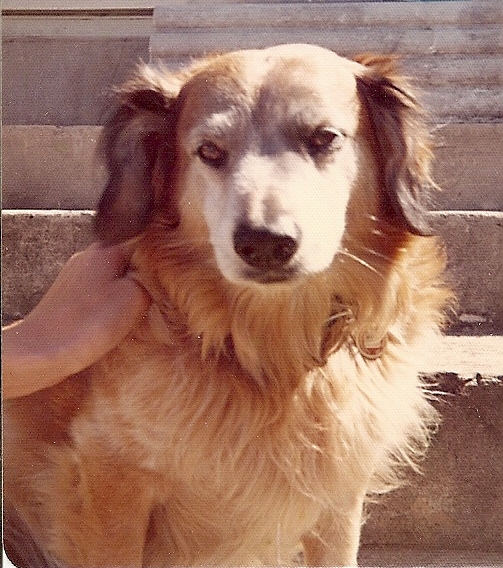 Basil of Casearea. St. 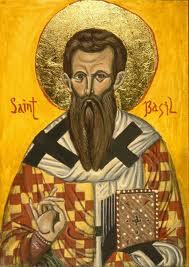 Basil is a genuine and early example of a theologian who reflected on Scripture and developed a theology of creation. 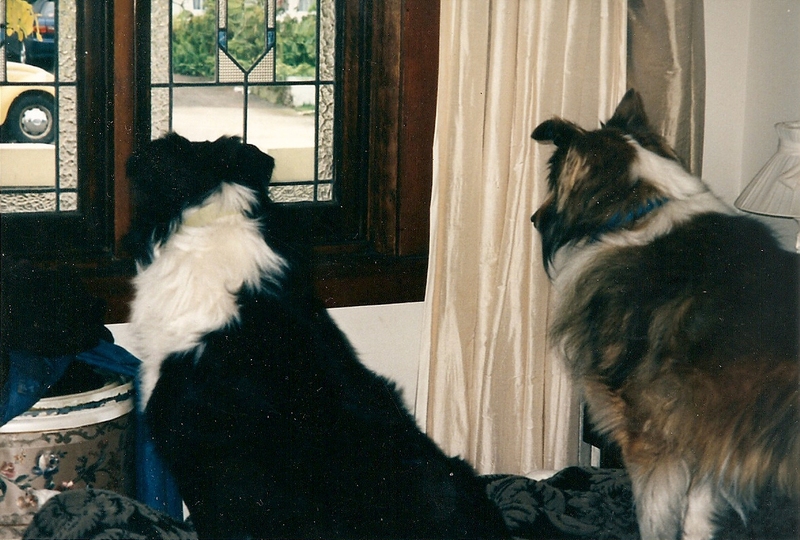 Animals were undeniably of interest to St. Basil as can be seen in his series of nine sermons based on Genesis chapter one known as The Hexaemeron (translated in English in the Nicene and Post-Nicene Fathers, second series, Volume 8, St Basil: Letters and Select Works, ed. Philip Schaff & Henry Wace; Grand Rapids: Eerdmans, 1978). However, the prayers under discussion here are not in The Hexaemeron or any other writings of St. Basil’s that are collected in the Nicene and Post-Nicene Fathers. This is the first post in a series of seven. Each of the posts are detailed and are not for those who want brief material of less than 200 words that can be hurriedly skimmed and be half-digested in no more than three minutes. 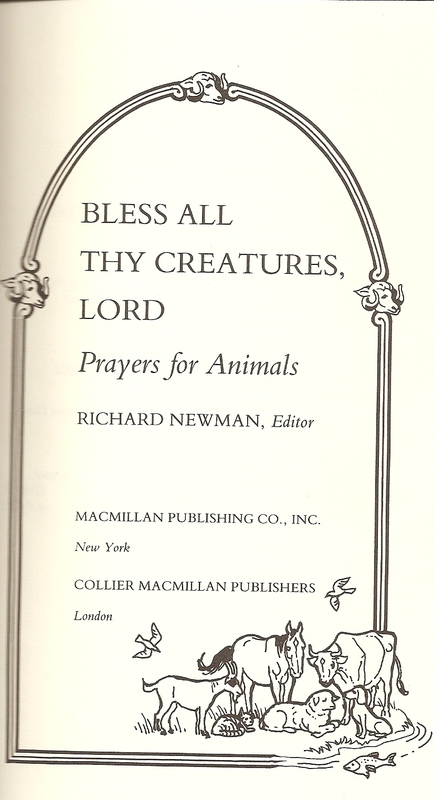 For the sake of this blog-post I will use the titles ascribed to these two prayers which are published in Richard Newman’s anthology Bless All Thy Creatures, Lord: Prayers for Animals (New York: Macmillan/London: Collier Macmillan, 1982, pp 19-20 & 39-40). The earth is the Lord’s and the fulness thereof. O God, enlarge within us the sense of fellowship with all living things, our brothers the animals to whom Thou gavest the earth as their home in common with us. We remember with shame that in the past we have exercised the high dominion of man with ruthless cruelty so that the voice of the earth, which should have gone up to Thee in song, has been a groan of travail. May we realize that they live not for us alone, but for themselves and for Thee and that they love the sweetness of life even as we, and serve Thee better in their place than we in ours. It is often the case with prayers that some content will include direct use of or allusions to biblical passages. “Their Guileless Lives” alludes to Psalm 36:6 “O Lord you preserve both man and beast” (NIV), and to Psalm 69:16, “for thy lovingkindness is good: turn unto me according to thy tender mercies” (KJV). In a similar vein, “Our Brothers the Animals” begins with Psalm 24:1 “The earth is the Lord’s, and the fulness thereof” (KJV). A further allusion in the prayer is to Romans 8:22 “For we know that the whole creation groaneth and travaileth in pain together until now” (KJV). The biblical allusions in these two prayers are consistent with liturgies and prayers used in both ancient and modern church contexts. However, the biblical allusions do not lend much proof to support the idea that the prayers are from the fourth century church. 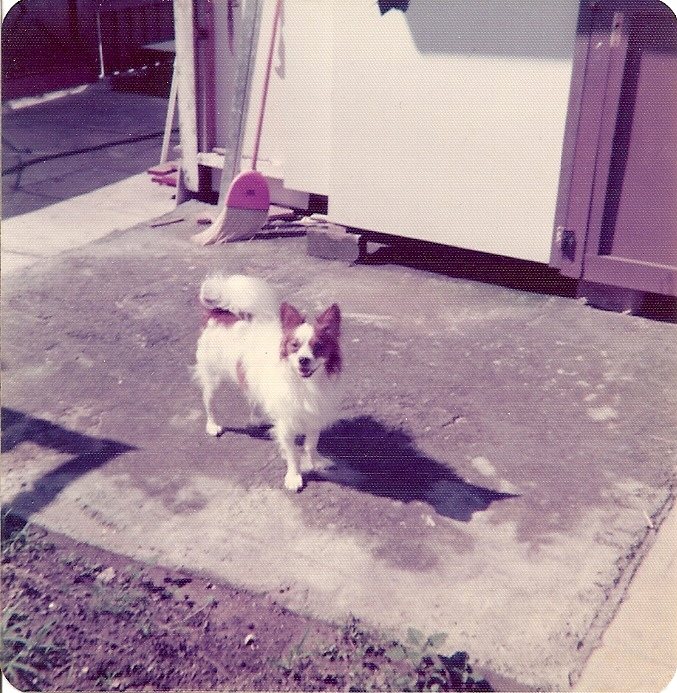 Scamp (1976-1981). Photo Copyright © 2012 Philip Johnson. What should raise an eyebrow or two about their apparent lack of “antiquity” is the presence of very modern jargon in these prayers. In St. Basil’s writings one routinely sees “man” and “mankind” and so it is curious that in “Their Guileless Lives” the inclusive term “humankind” is used which at the very least hints at a translator jazzing up the original text. However, this is difficult to assess on face-value because no translator is named in Newman’s book and there is no Greek or Coptic original text on which to check the translation. Likewise, in “Our Brothers the Animals”, it is difficult to reconcile some phrases with the known writings of St. Basil. For instance, it is highly unlikely that a fourth century monk would express himself saying, “enlarge within us the sense of fellowship” and “the high dominion of man with ruthless cruelty”. The latter sounds very much like somebody in the modern world glancing back in time in light of historical trends in the rise of pro-animal causes since 1800. A modern author with some theological background, and who has a reflective conscience, is a more likely candidate for composing prayers like these. Somebody forgot to ask … did St. Basil really write them? Let me emphasise that I love these two prayers both of which express some excellent sentiments and have great inspirational value. For over three years I have tried to find the original sources. 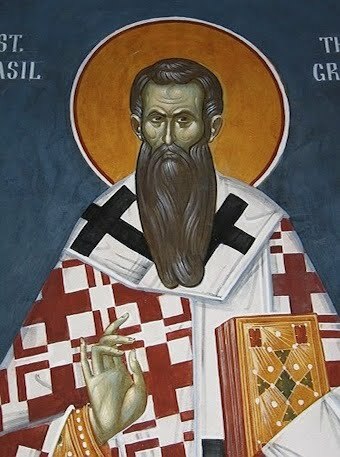 Most blogs and books claim that the prayers are found in either St. Basil’s writings, or that they come from The Liturgy of St. Basil (see the English translations of the Greek Orthodox version, Slavonic-Russian version, Coptic version and Ethiopian version). The trouble is that The Liturgy of St. Basil in its Greek, Slavonic-Russian, Coptic and Ethiopic versions has no prayers remotely resembling them. The “litany” though clearly contains nothing that approximates the two prayers attributed to St. Basil. In the next post (Part Two) I will document how many authors (mostly academics) have claimed that these prayers were written by St. Basil. This analysis will carry on in further posts (Part Three, Part Four and Part Five) that highlights the same problem abounds in several books and blogs written by Christians. 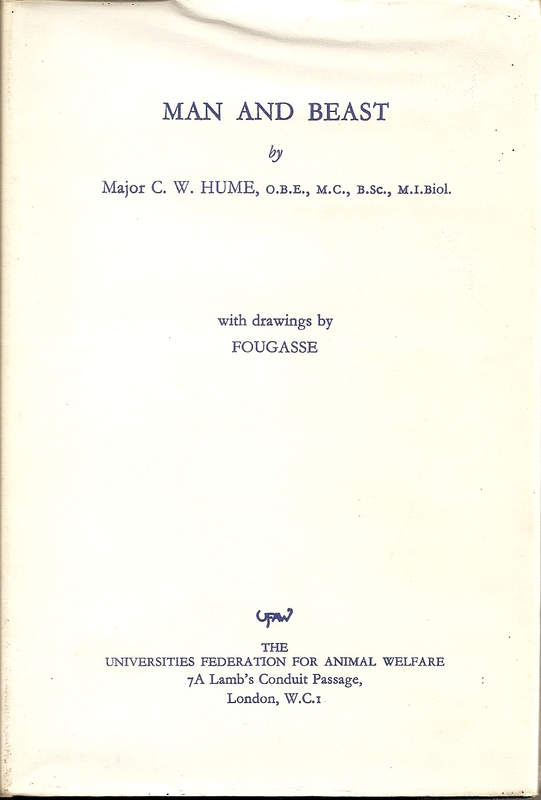 I will then show (Part Six) that “Their Guileless Lives” surfaced during World War One owing to the dreadful conditions in which animals assisted in the military conflict of Europe’s “Great War”. I will also show that the original source for “Our Brothers the Animals” comes from a book of prayers composed by the liberal Baptist theologian Walter Rauschenbusch in 1910. (If you want to “cut-to-the-chase” go to Part Six here). Lastly, there will be a summing up of lessons and reflections (Part Seven). <end of Part One; see next post for continuation of this discussion>.